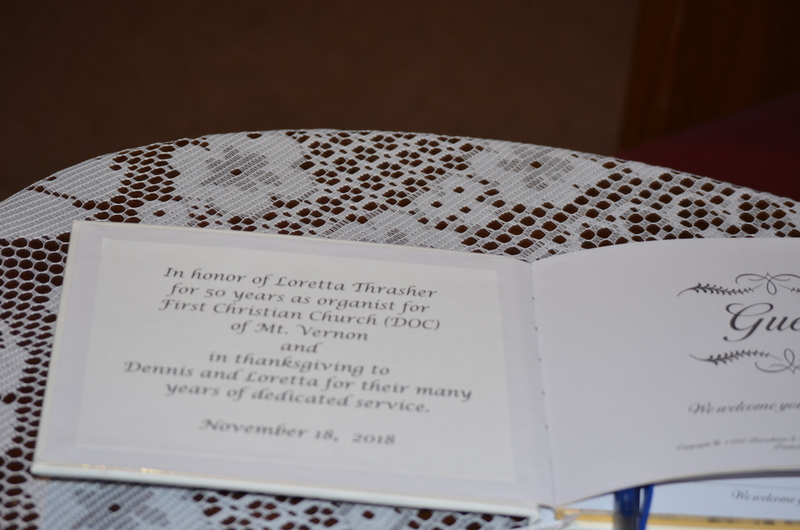 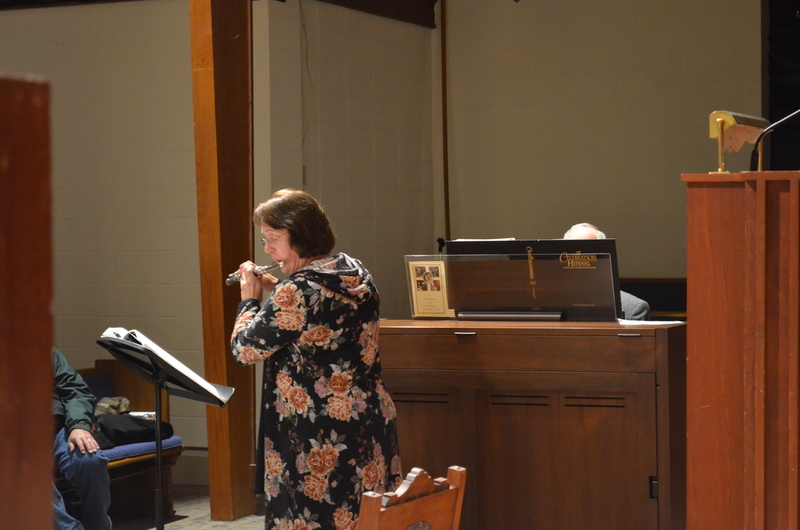 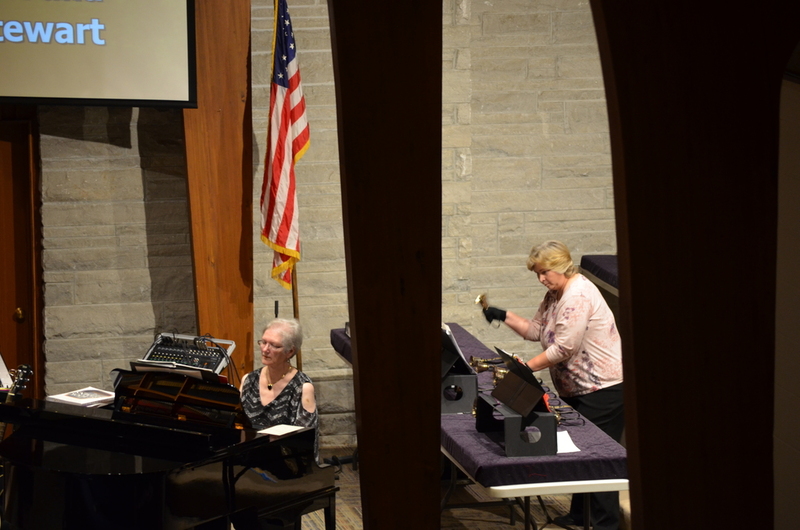 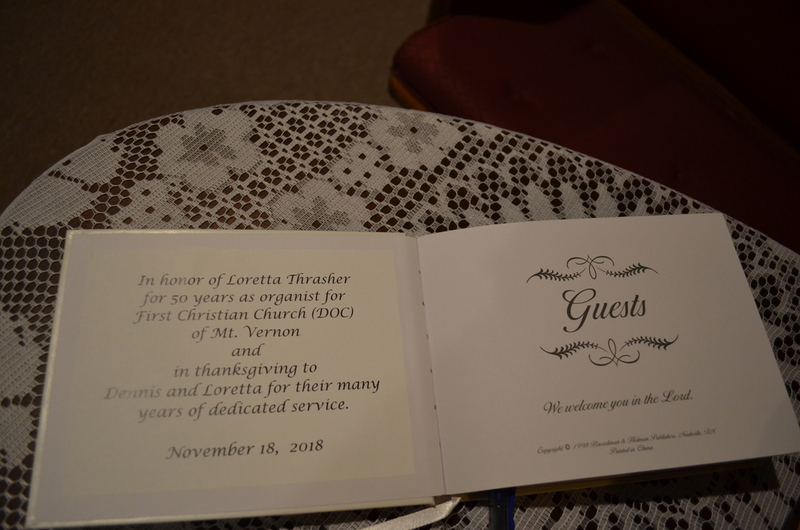 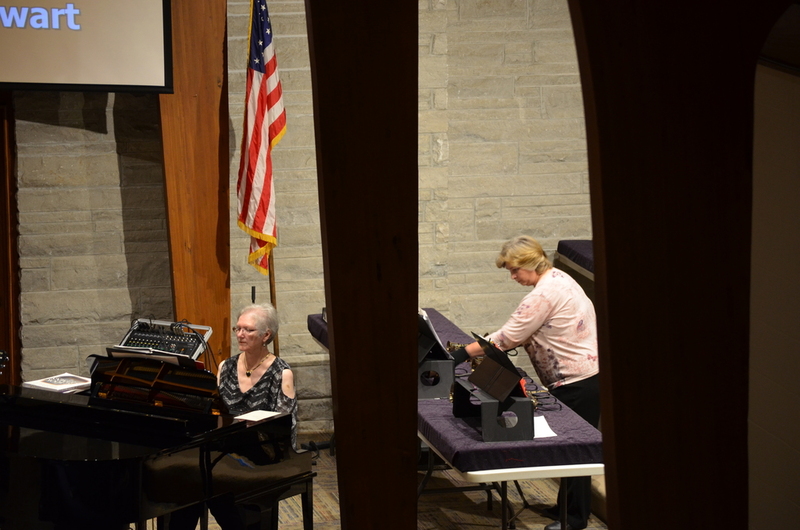 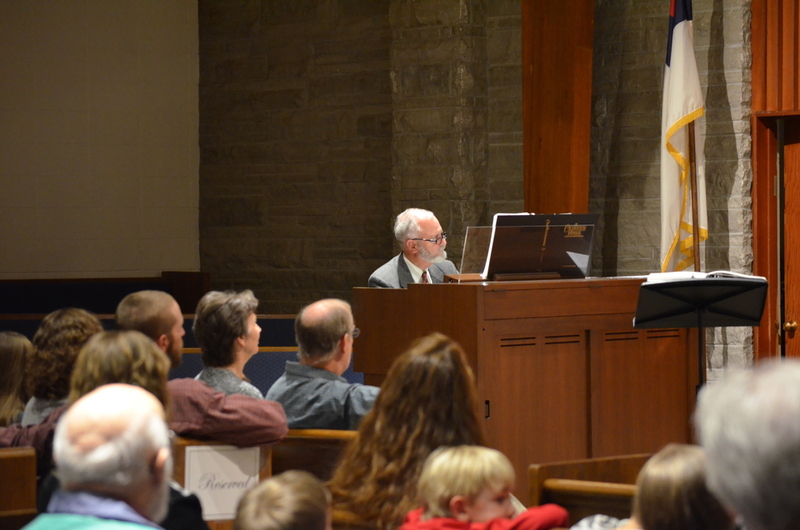 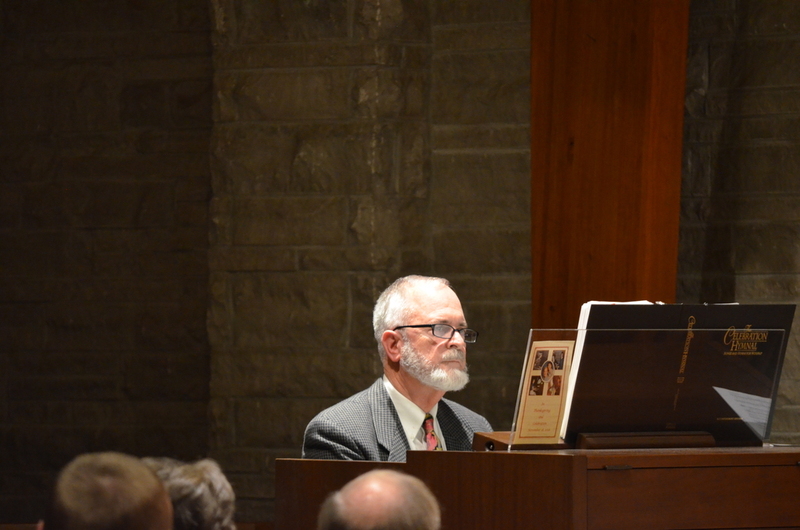 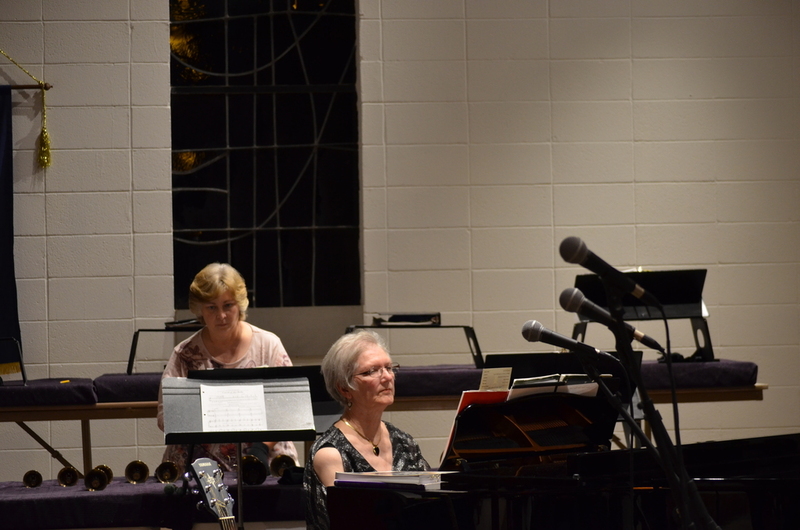 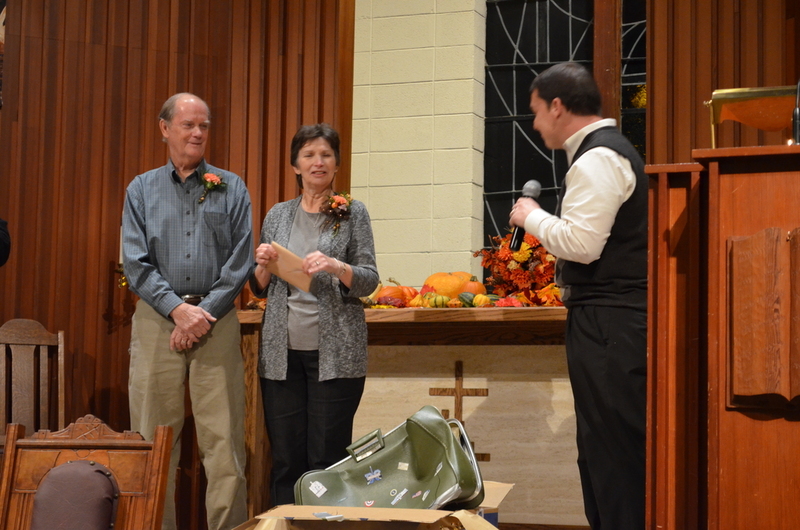 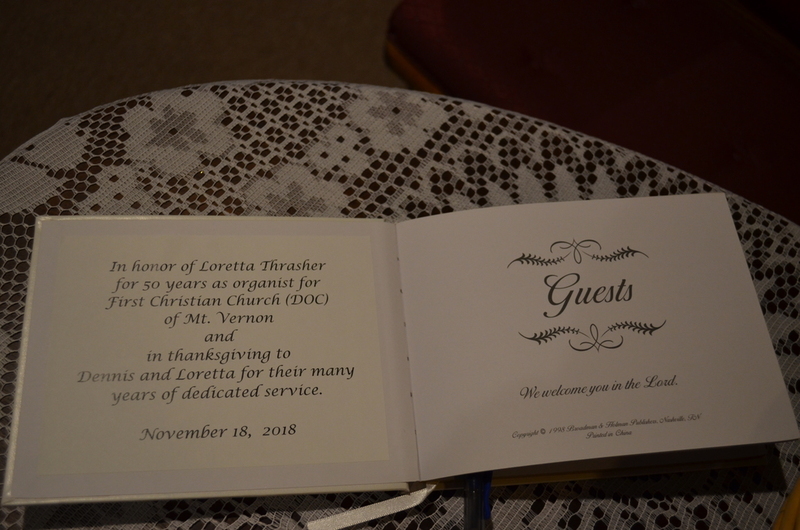 FCC honored Loretta Thrasher for her being church organist for 50 years. 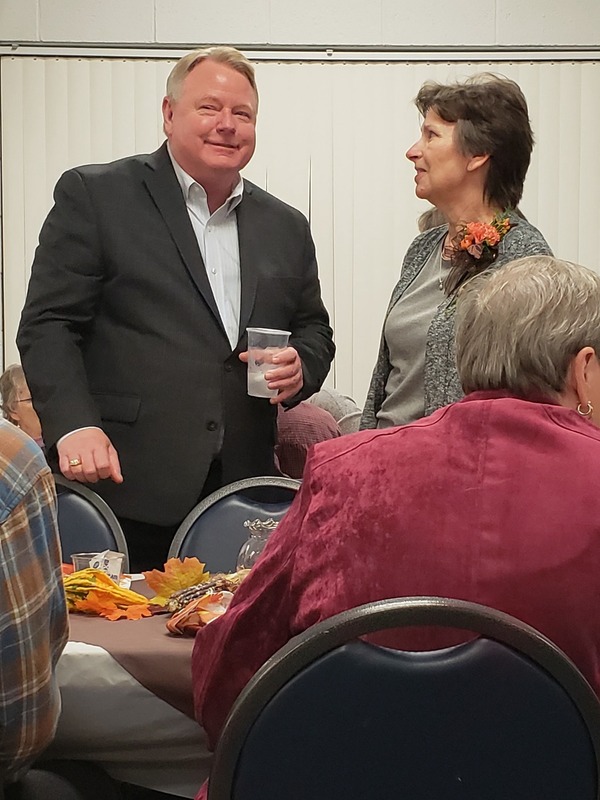 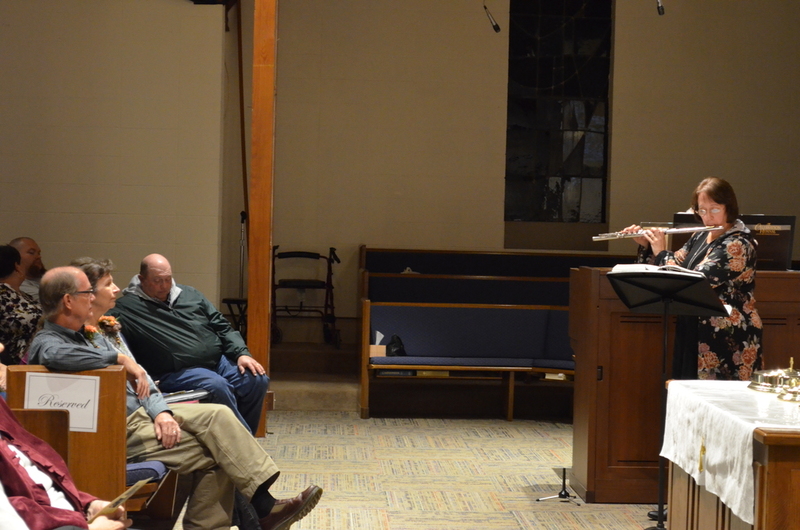 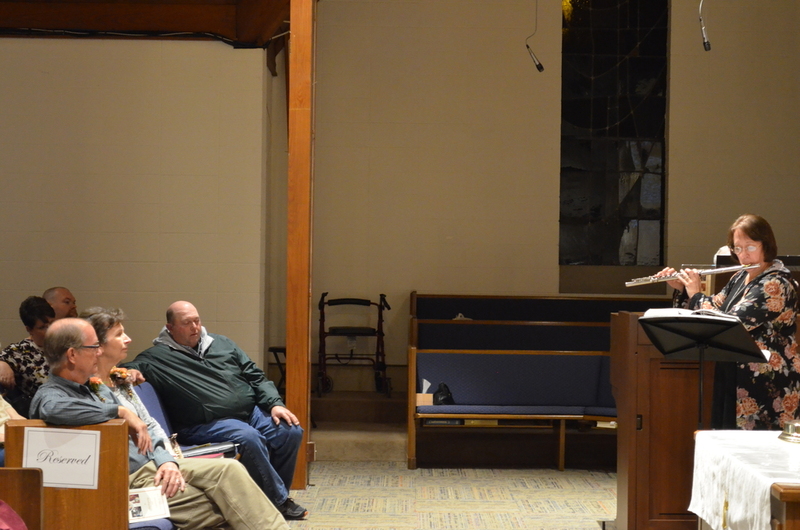 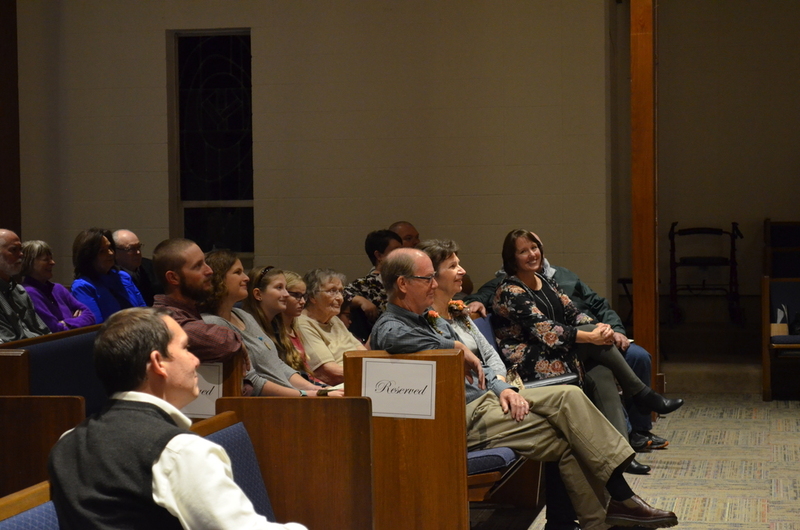 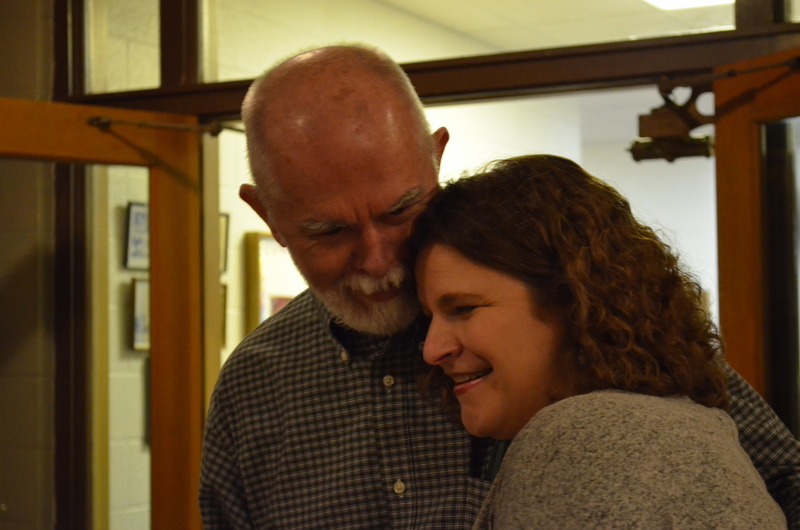 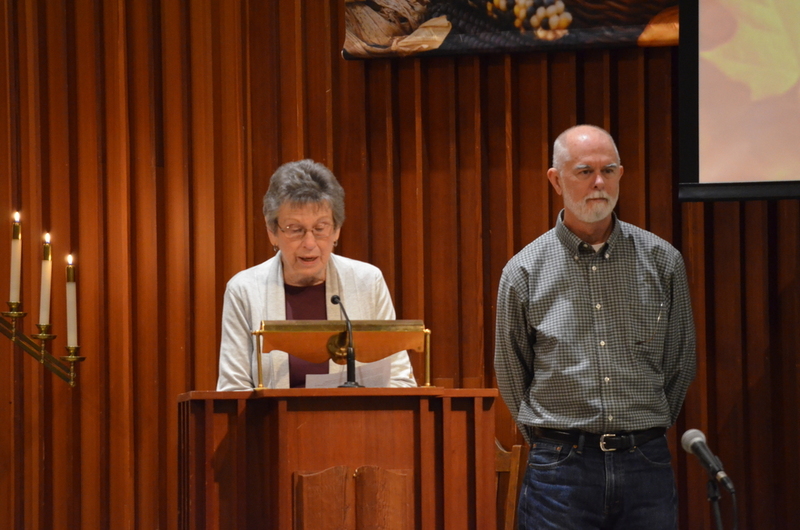 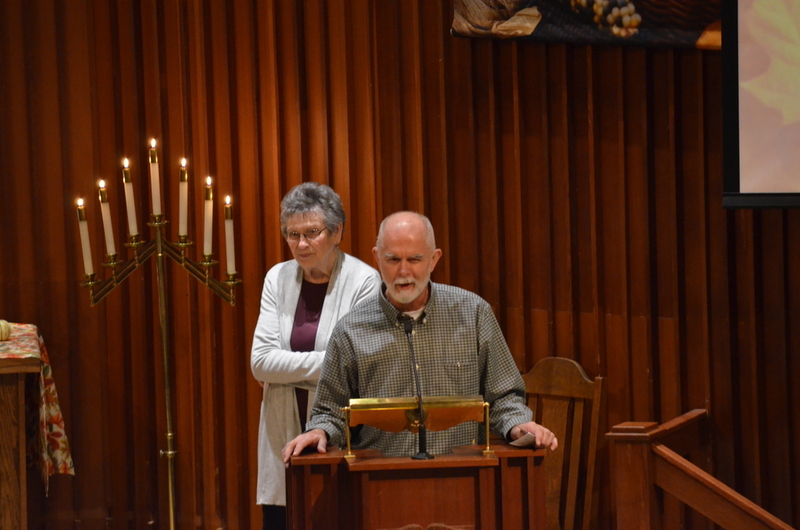 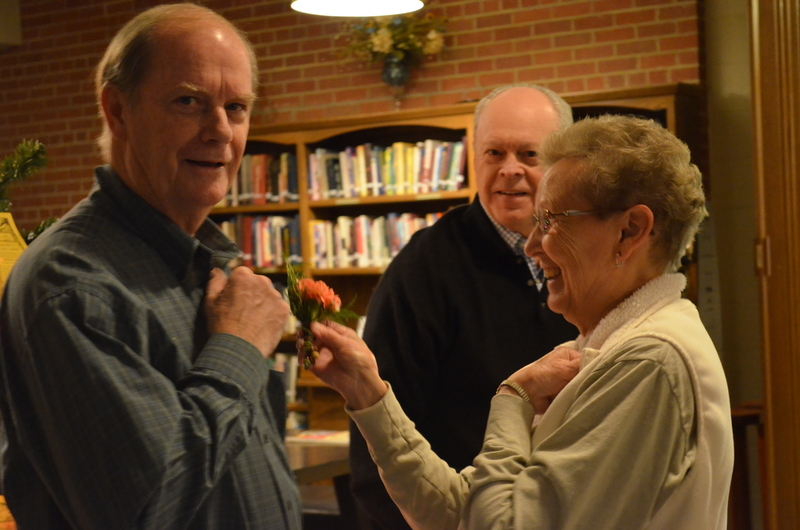 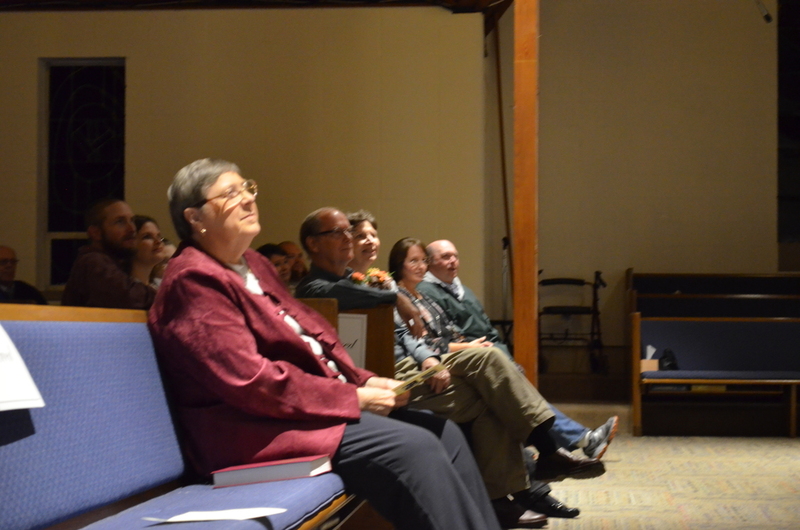 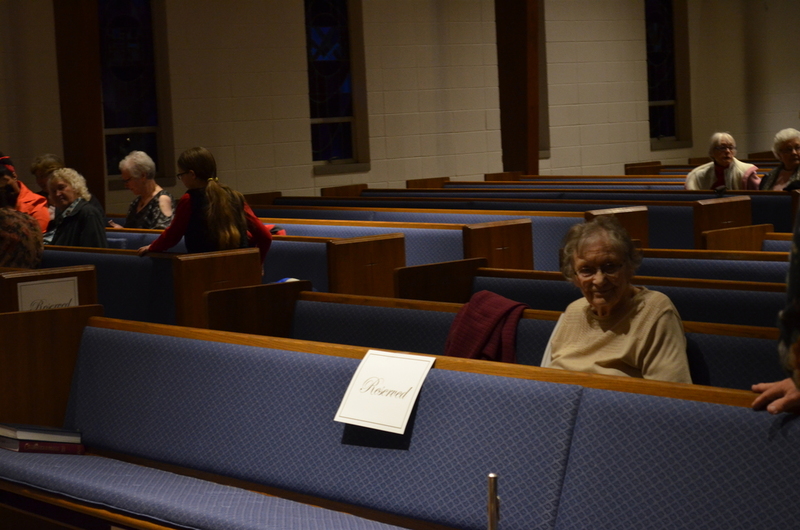 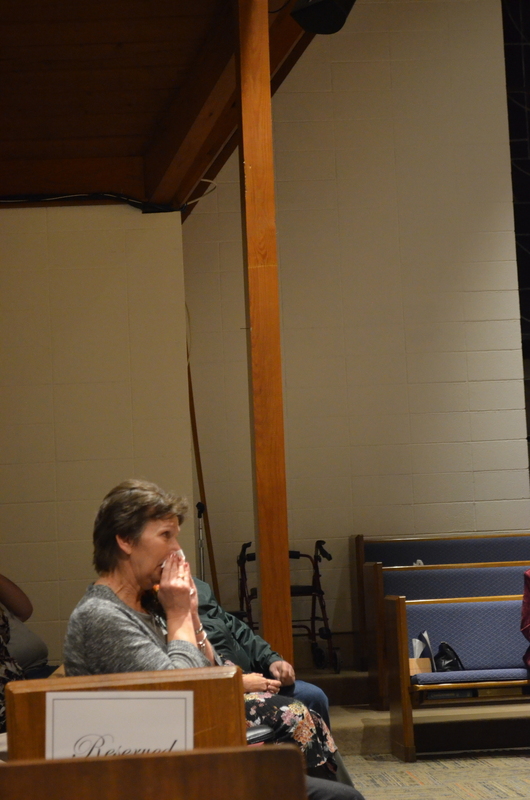 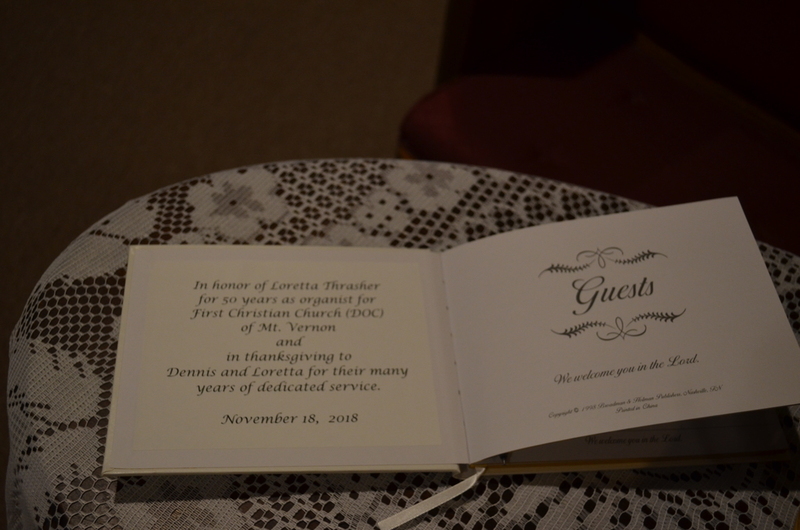 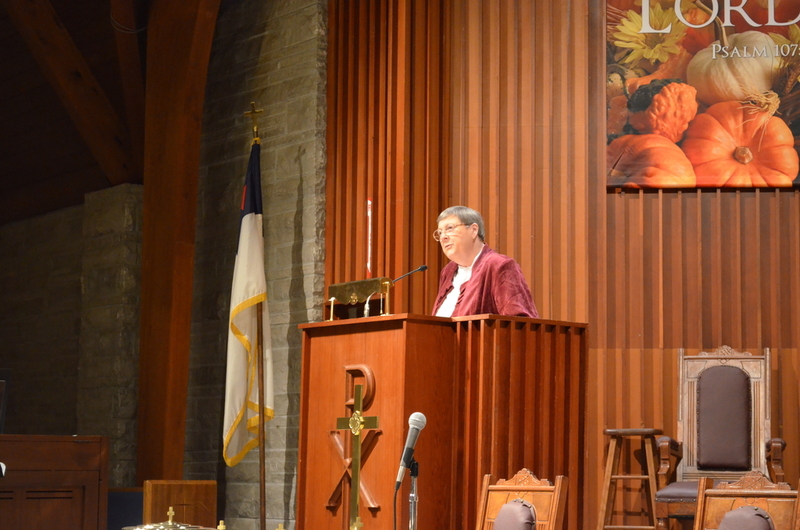 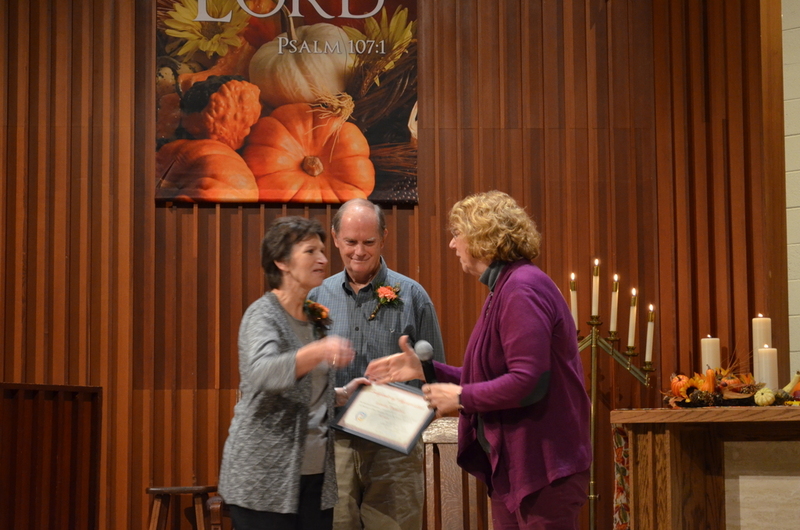 Loretta has served in many capacities at the church as well as her husband, Dennis. 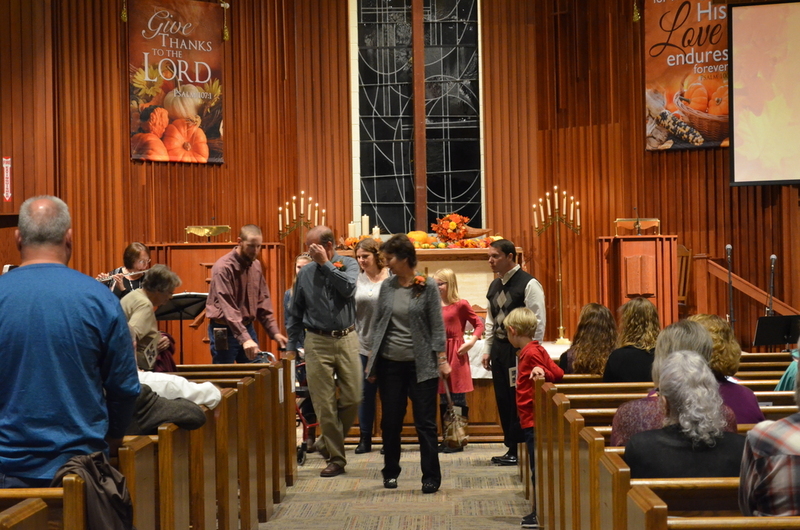 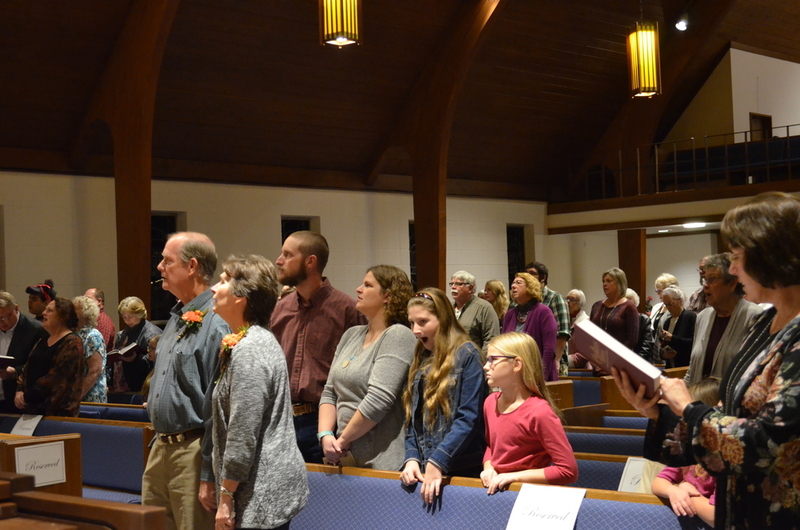 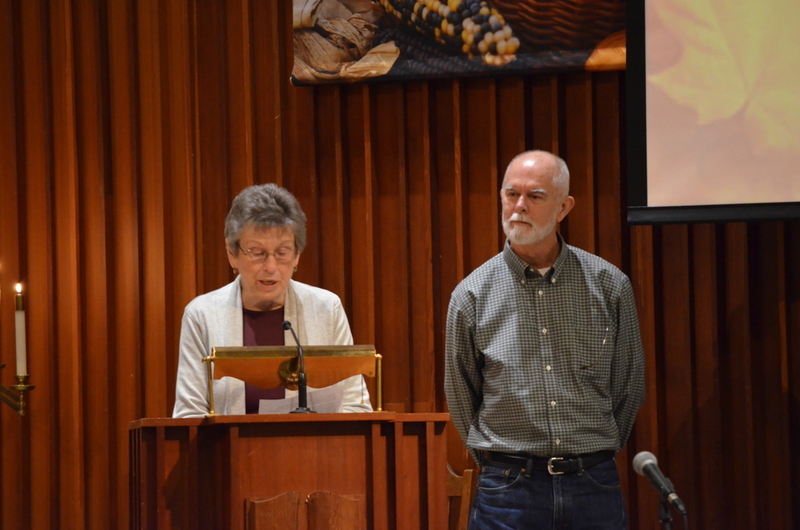 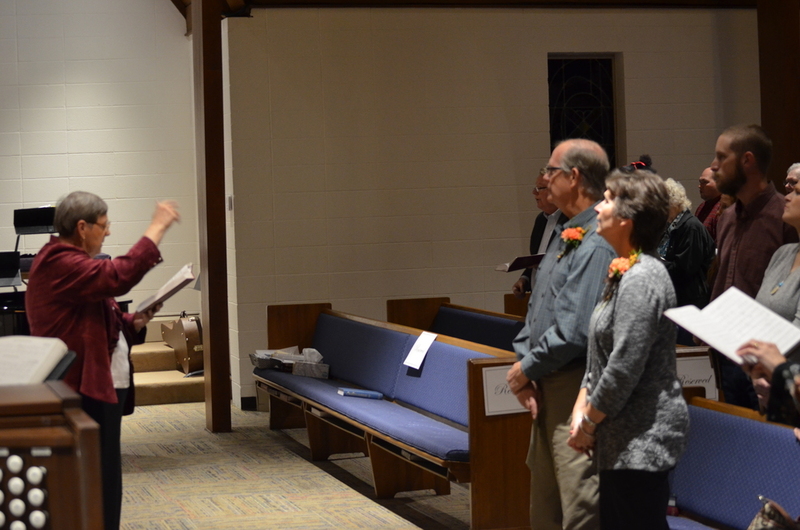 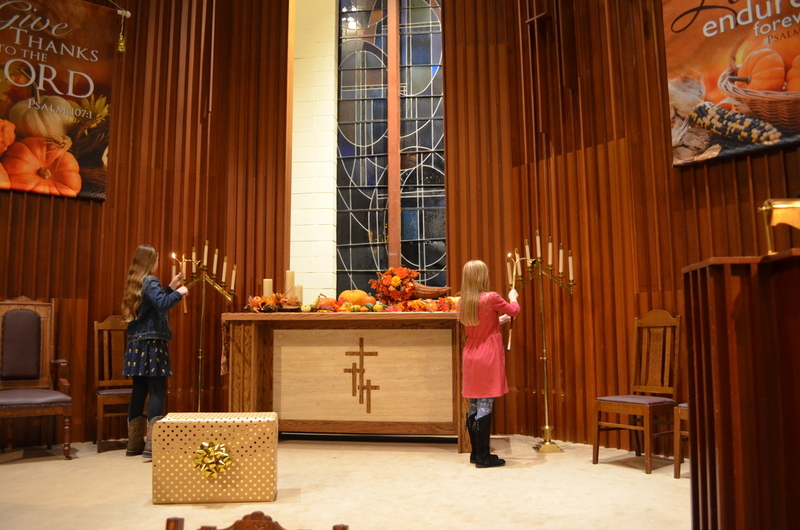 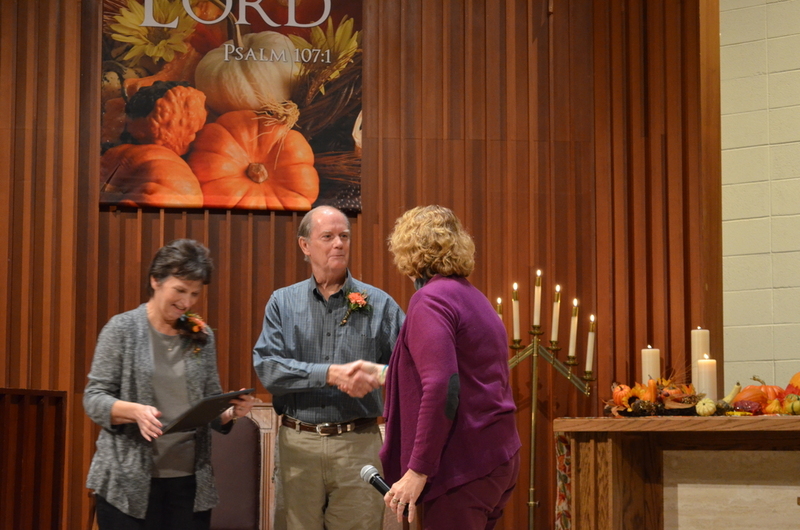 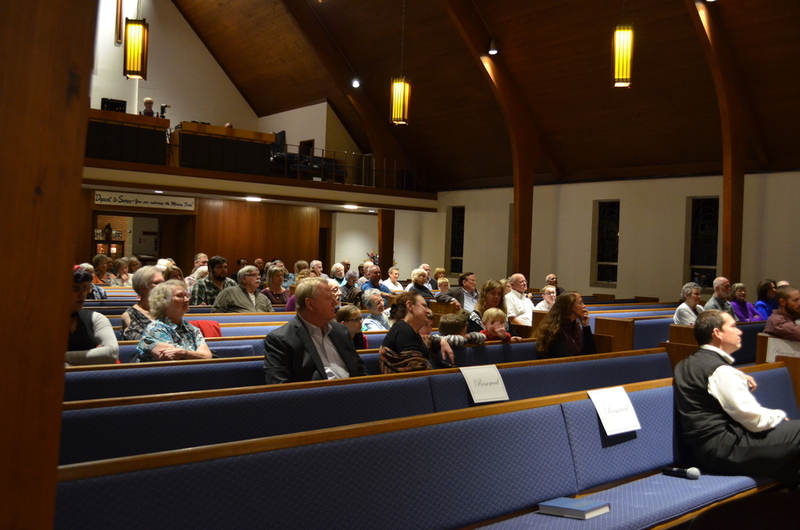 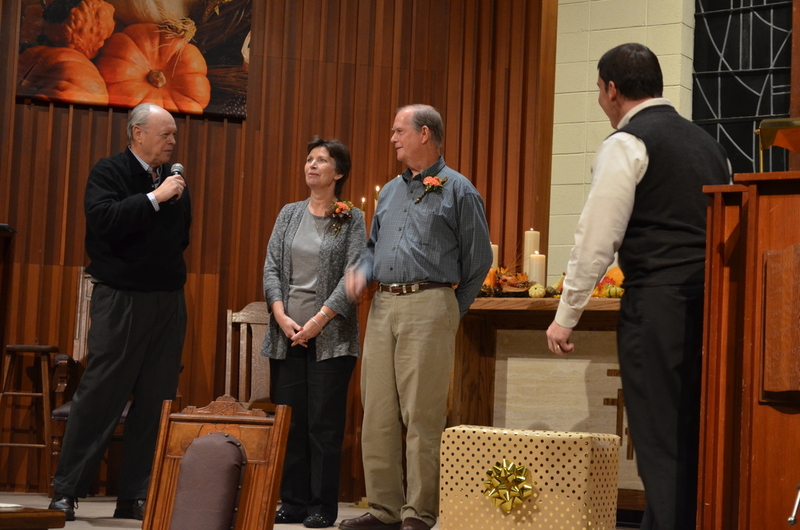 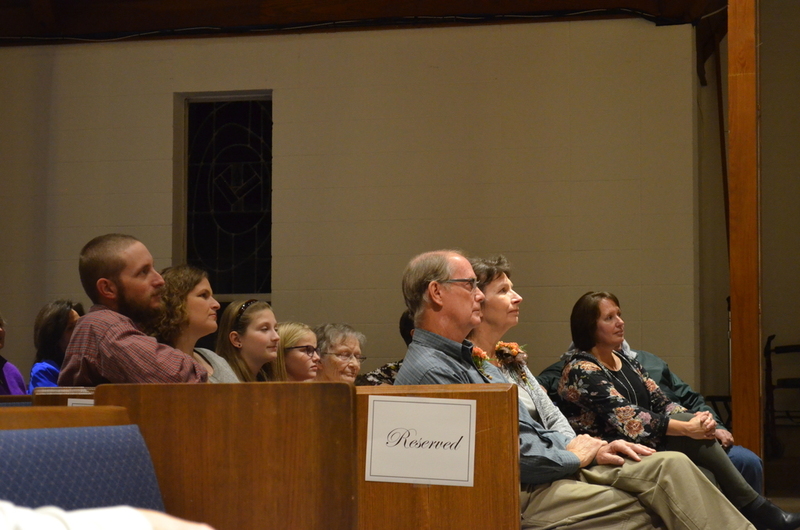 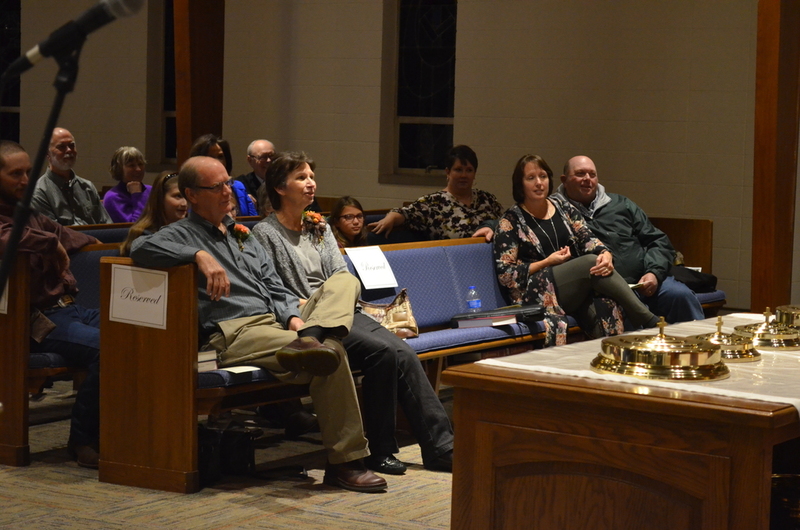 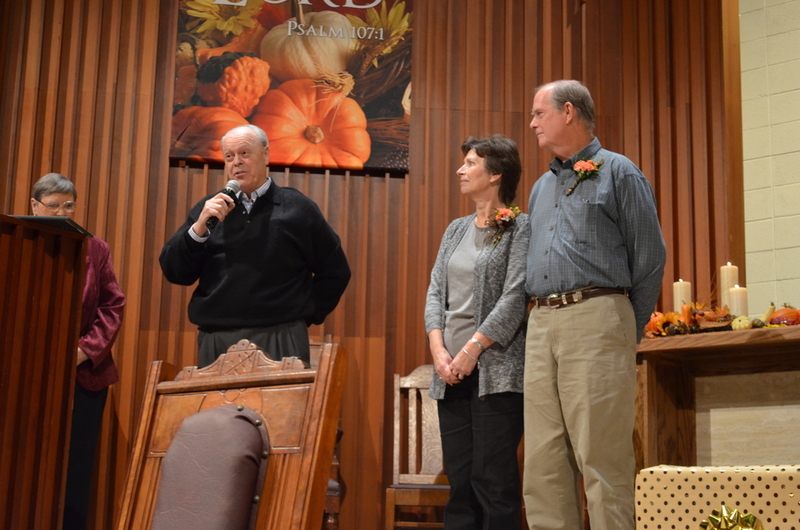 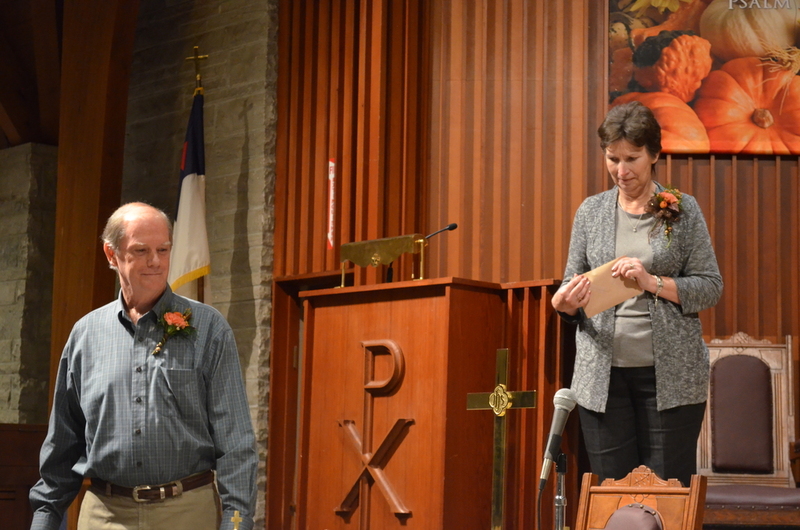 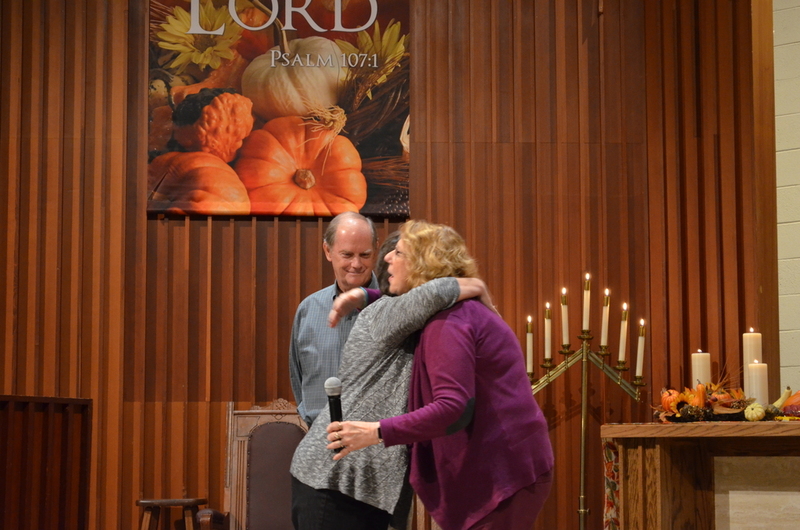 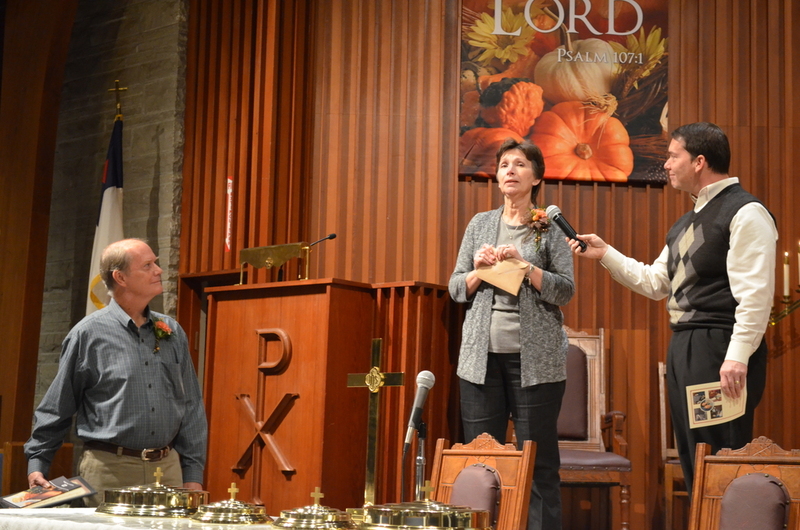 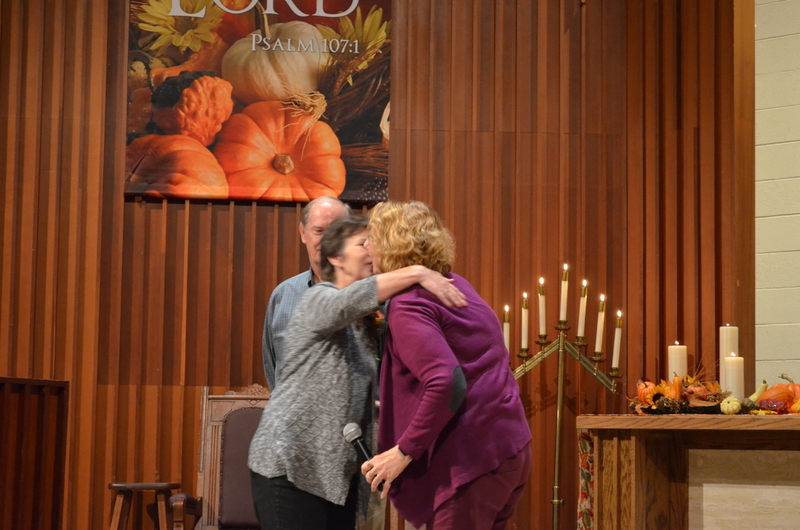 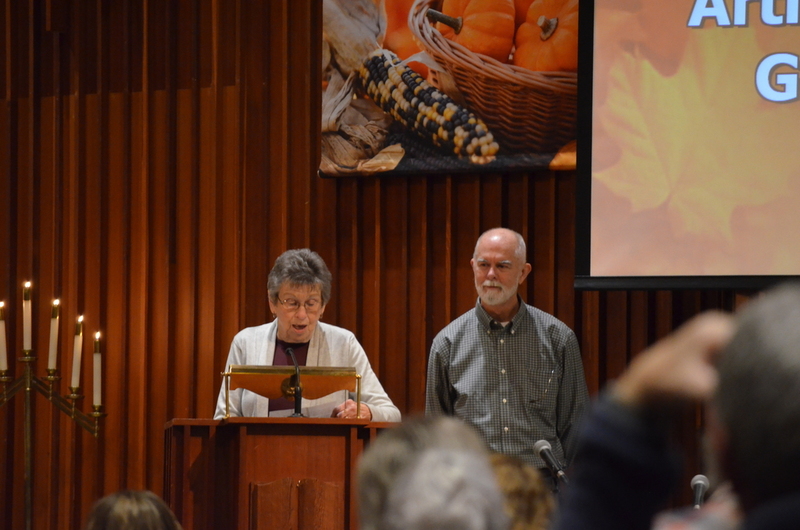 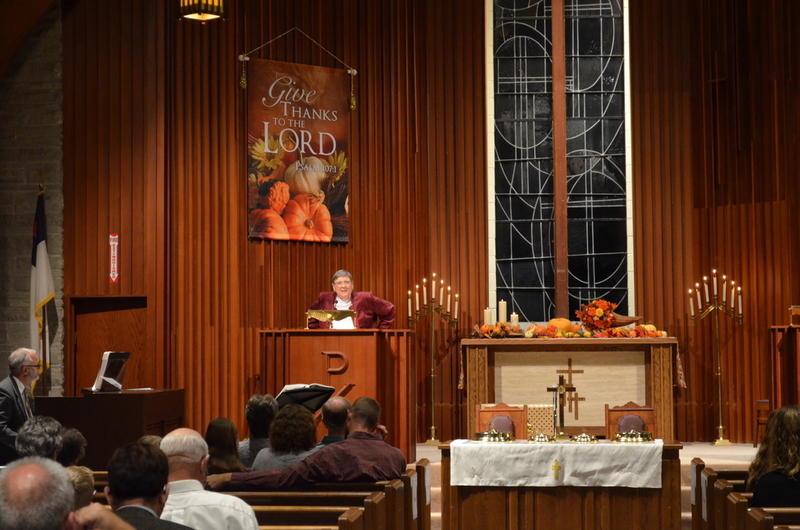 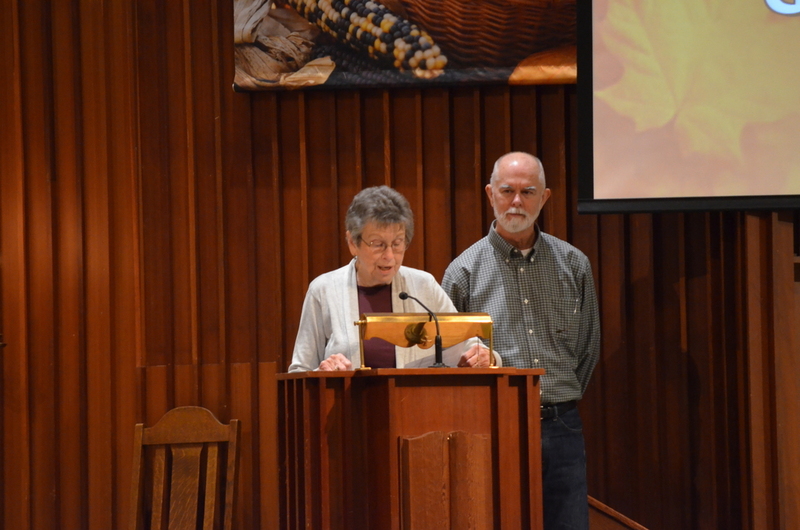 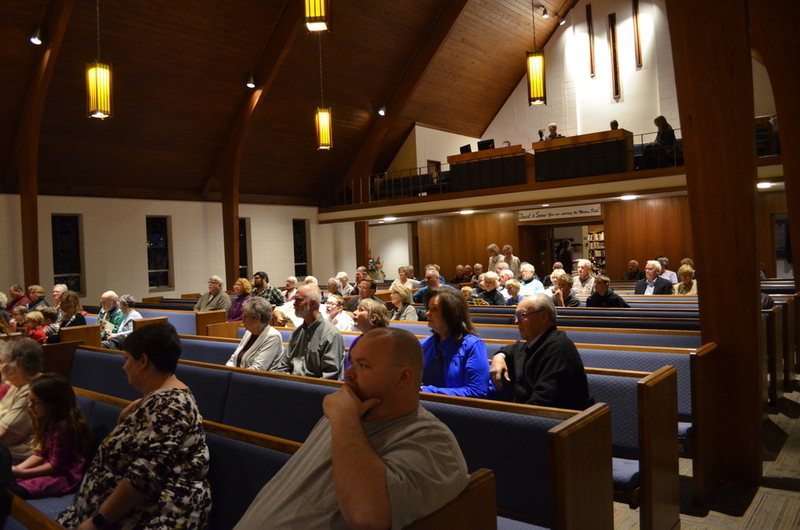 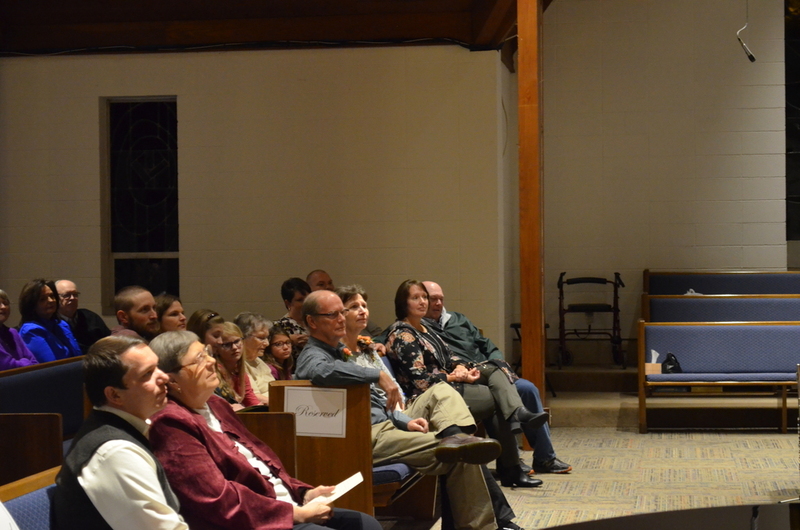 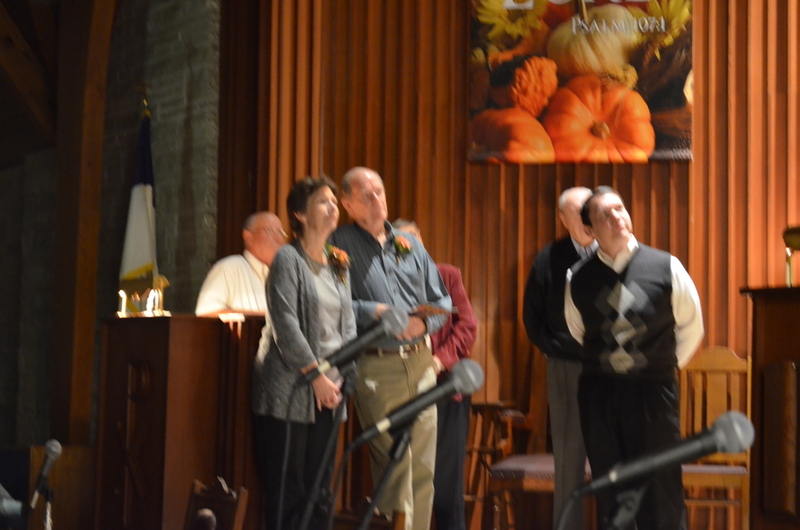 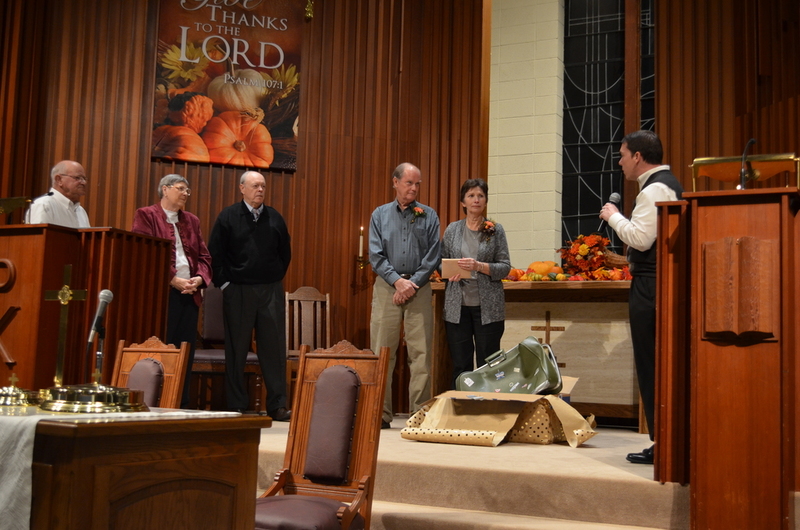 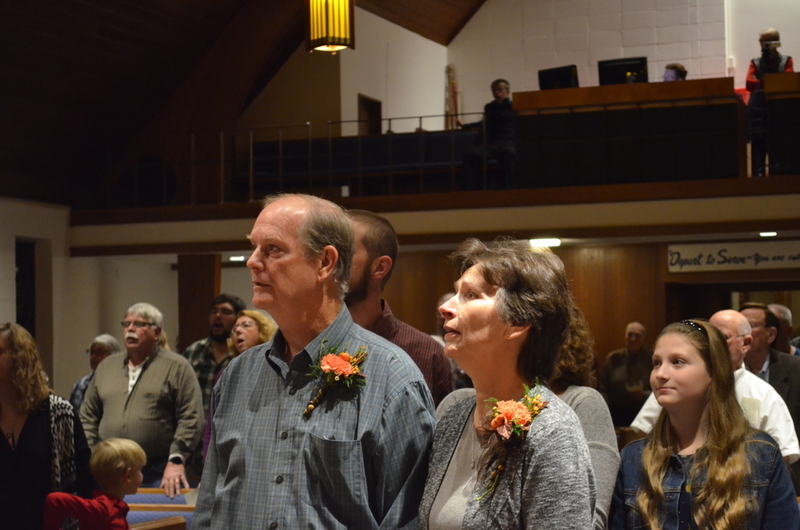 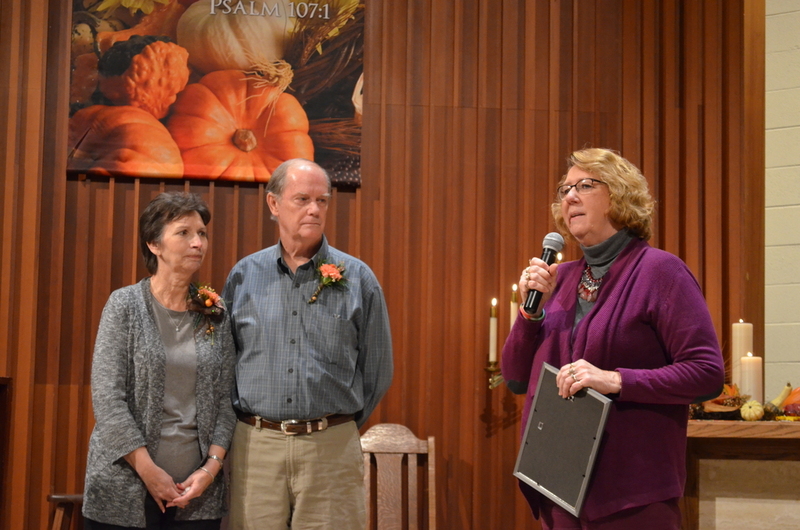 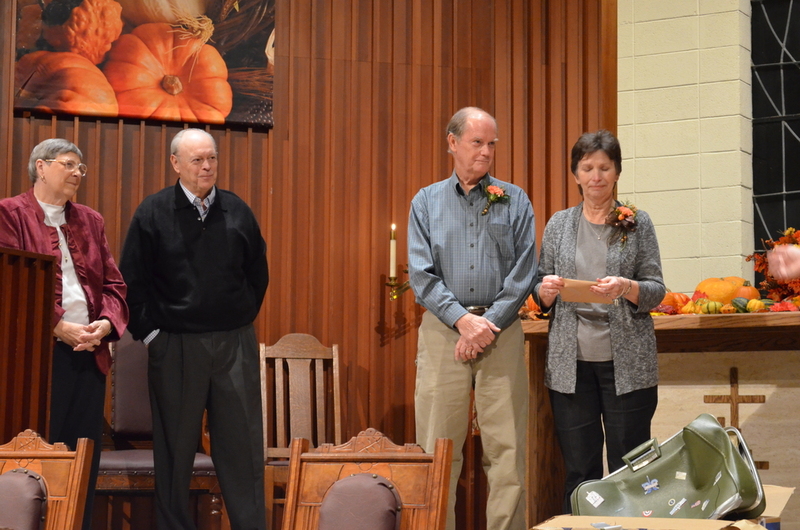 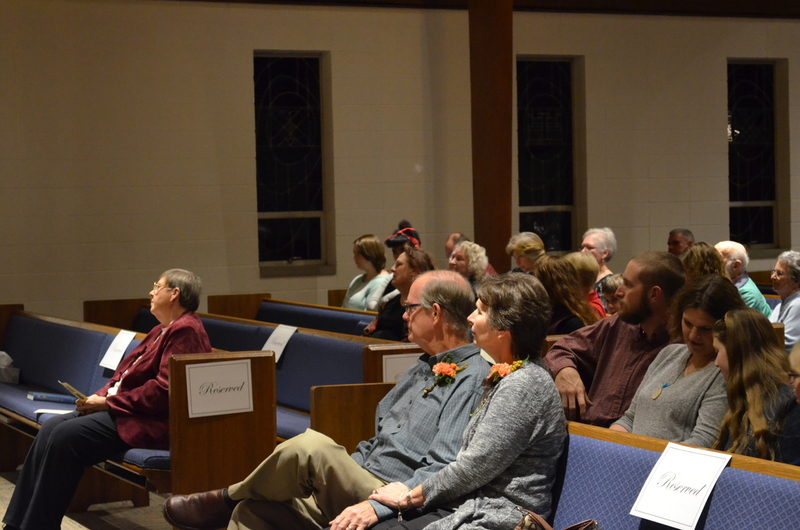 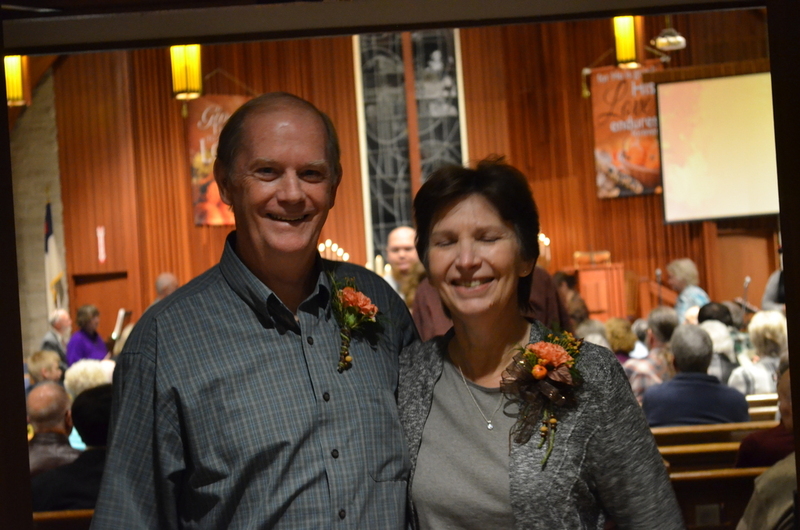 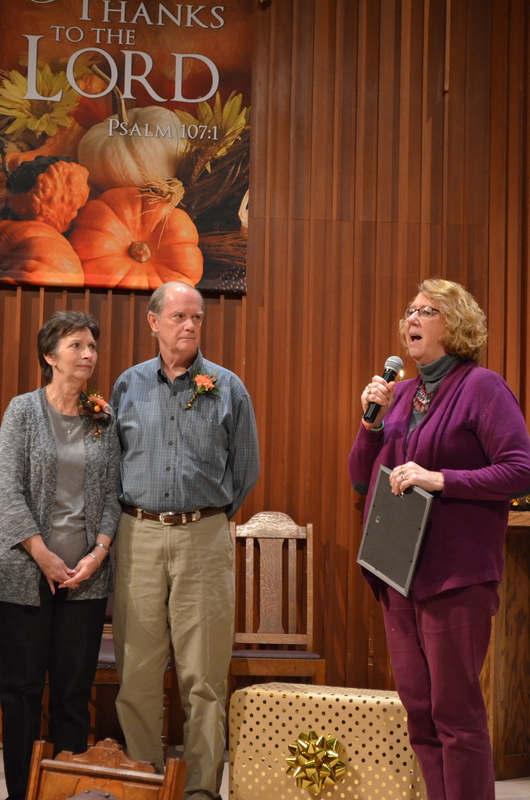 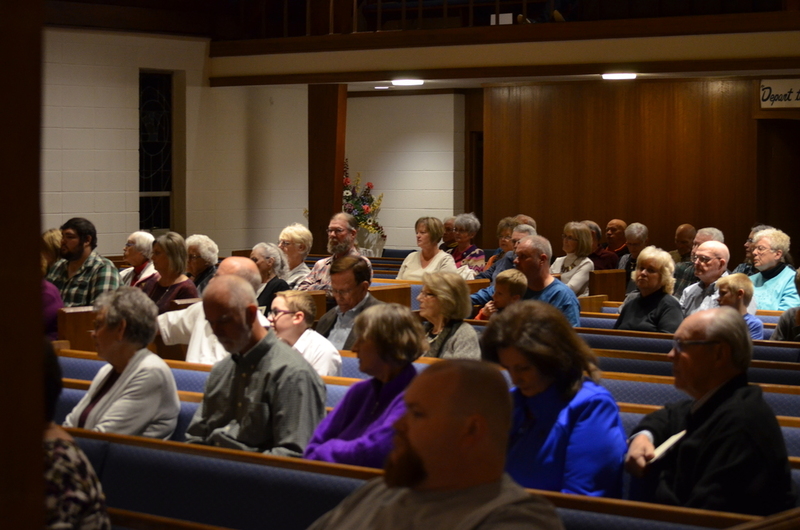 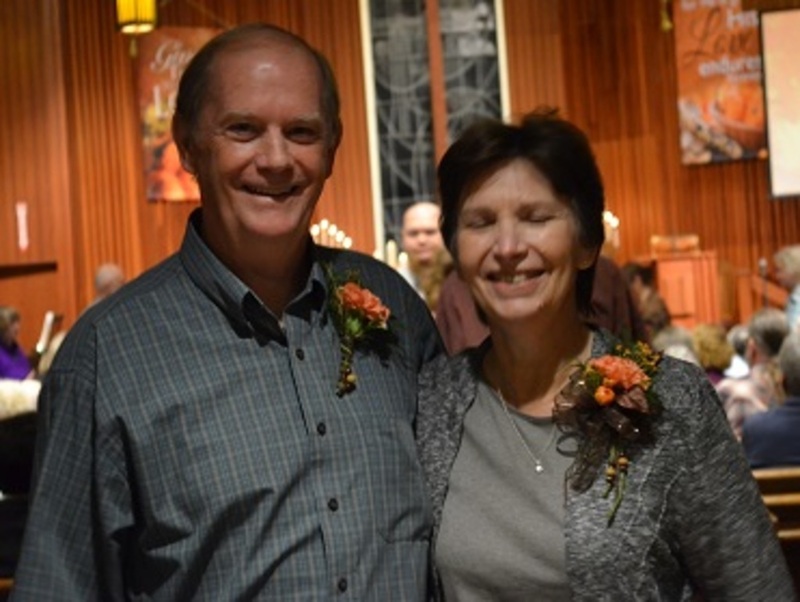 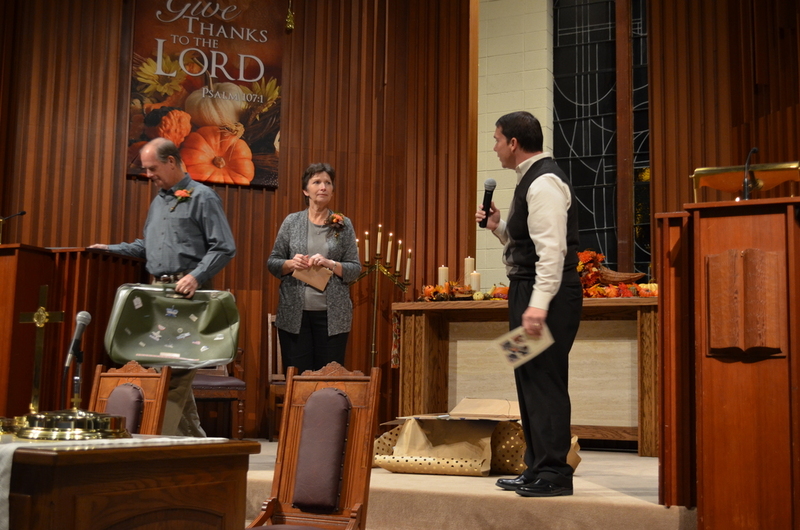 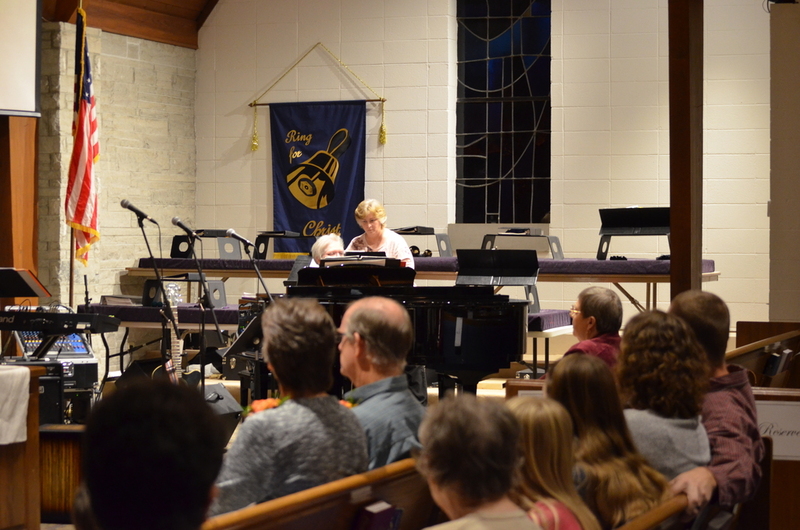 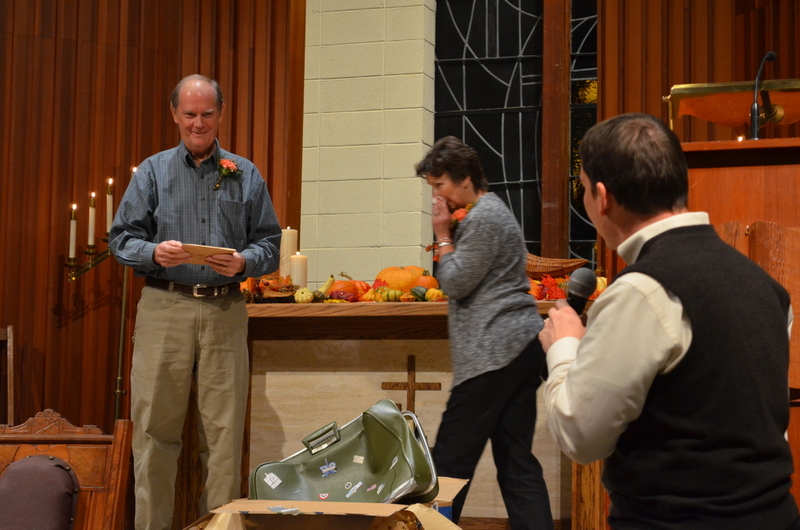 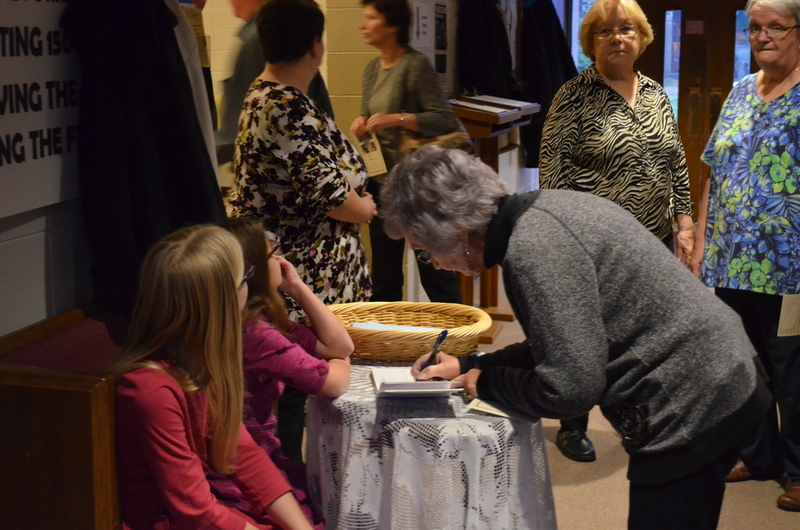 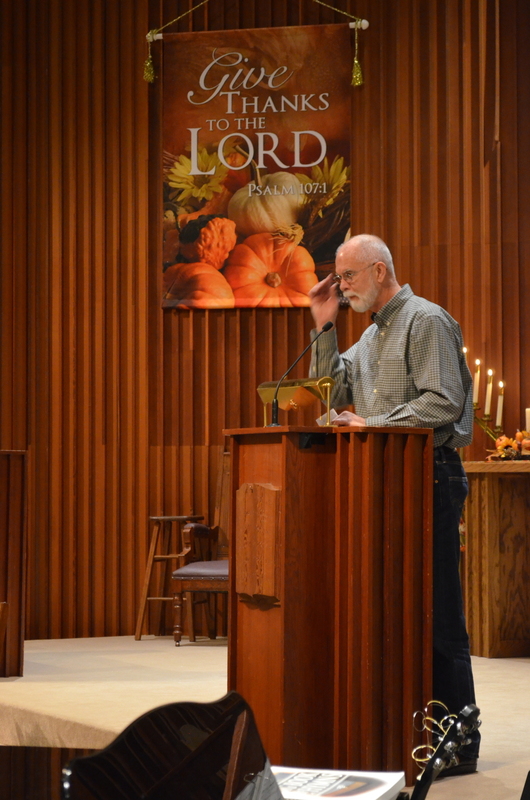 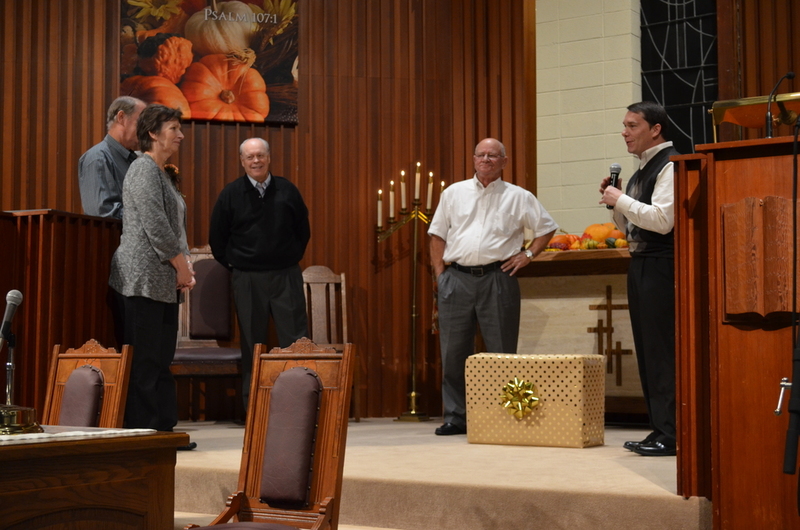 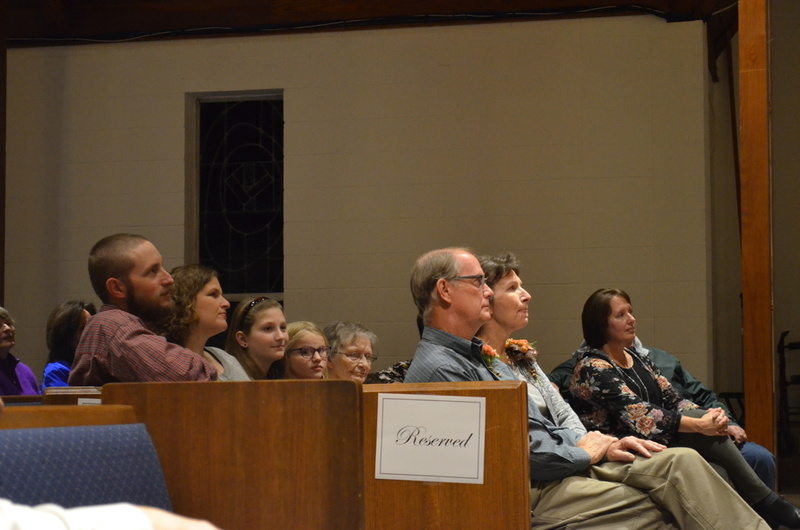 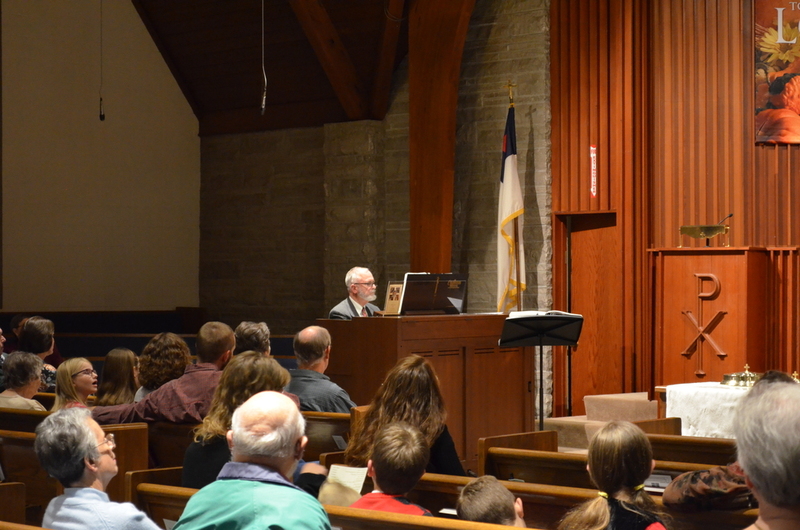 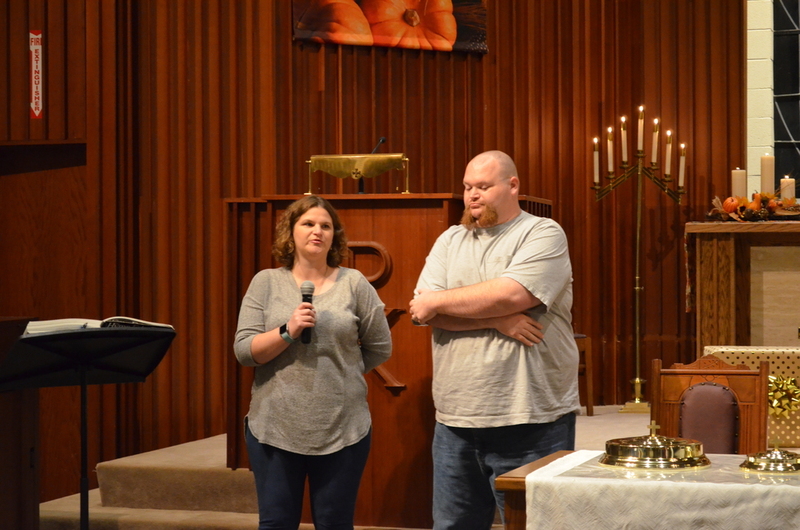 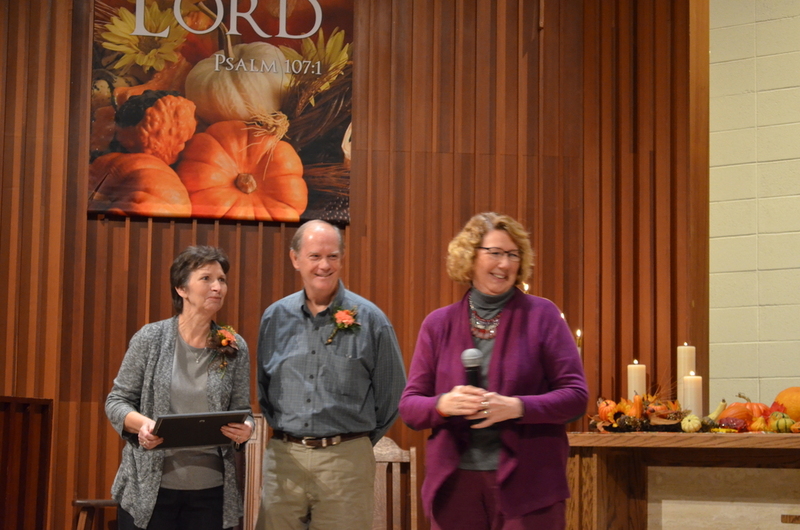 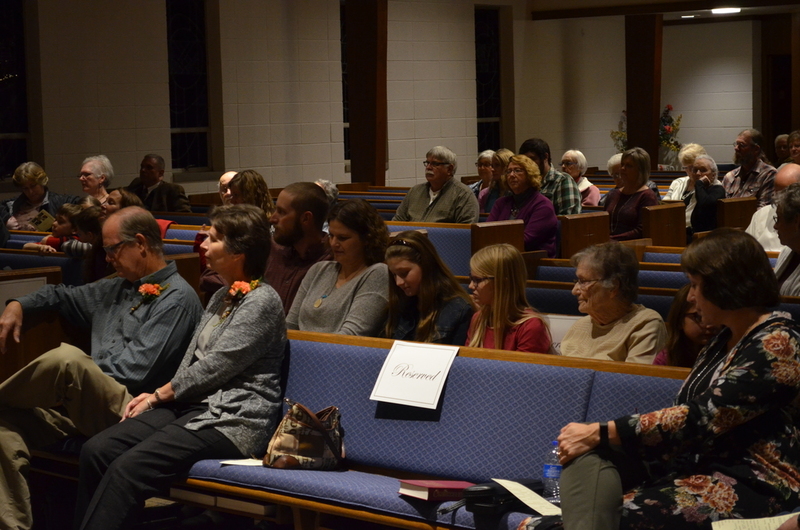 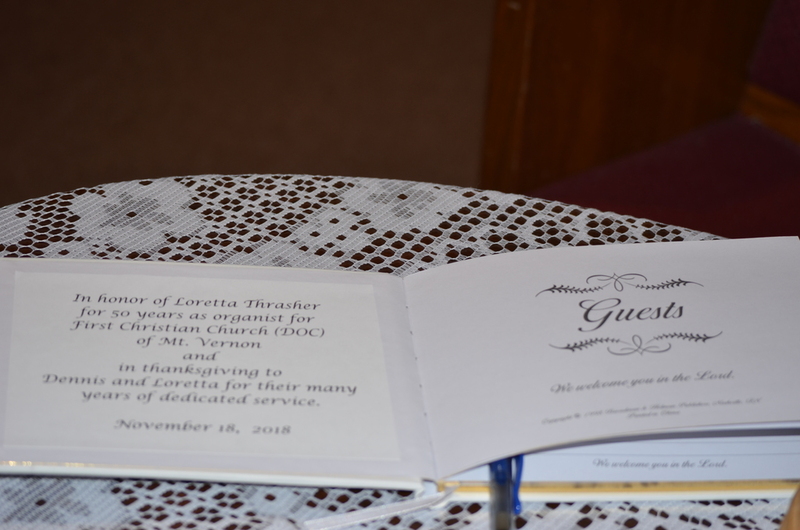 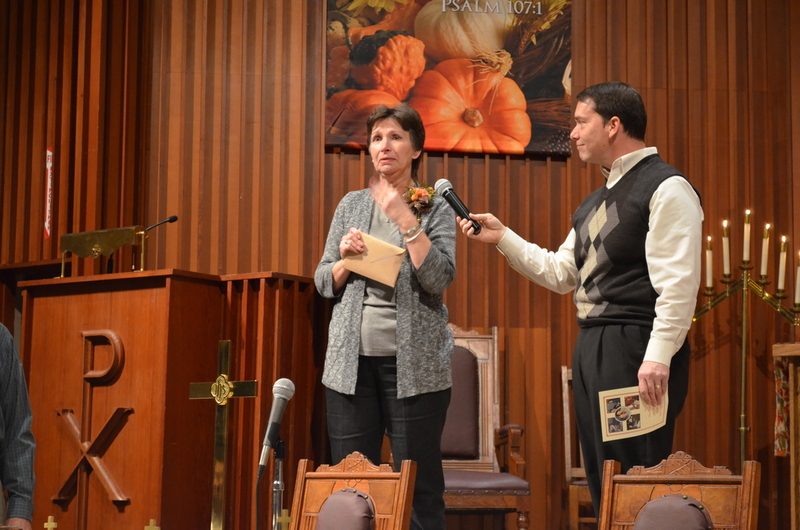 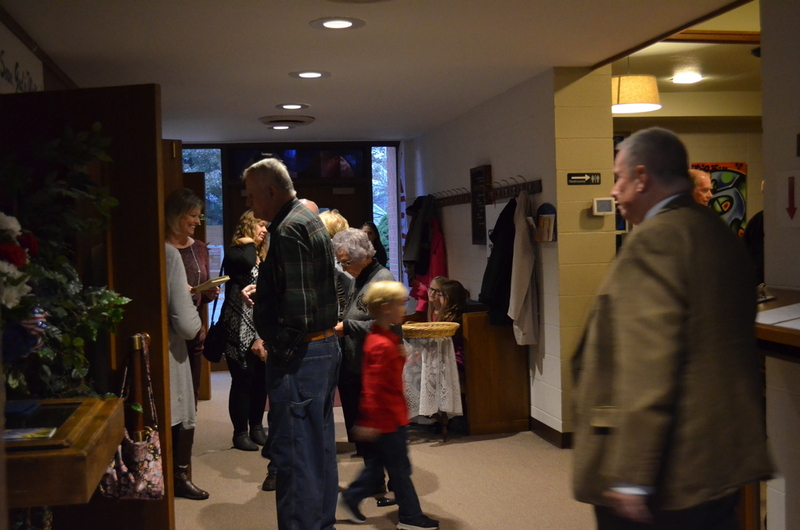 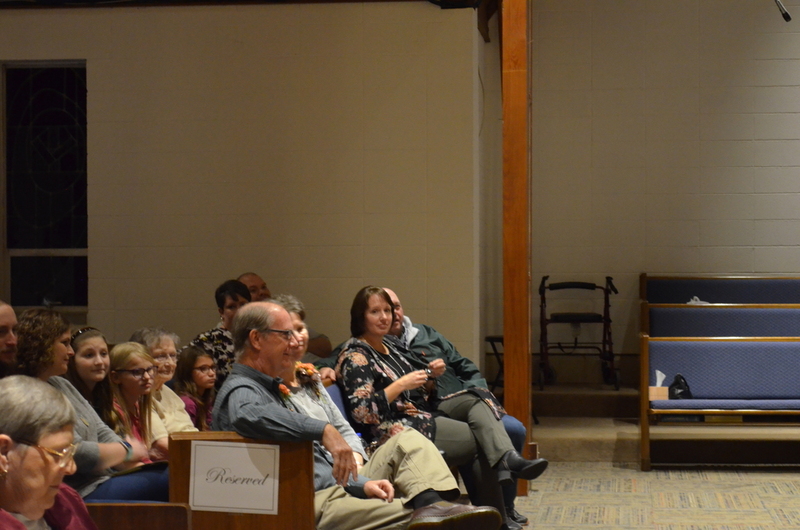 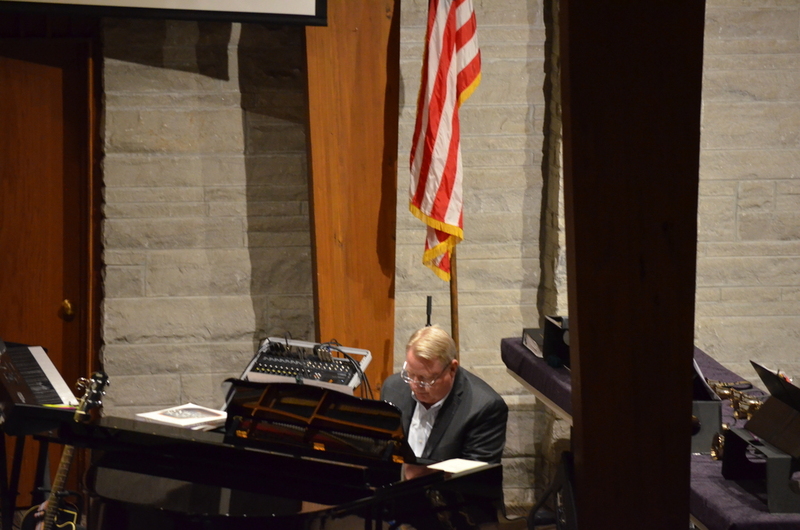 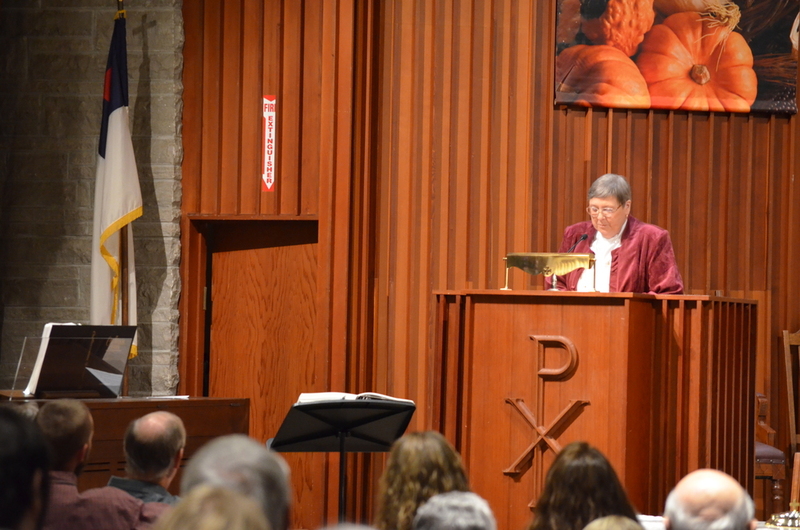 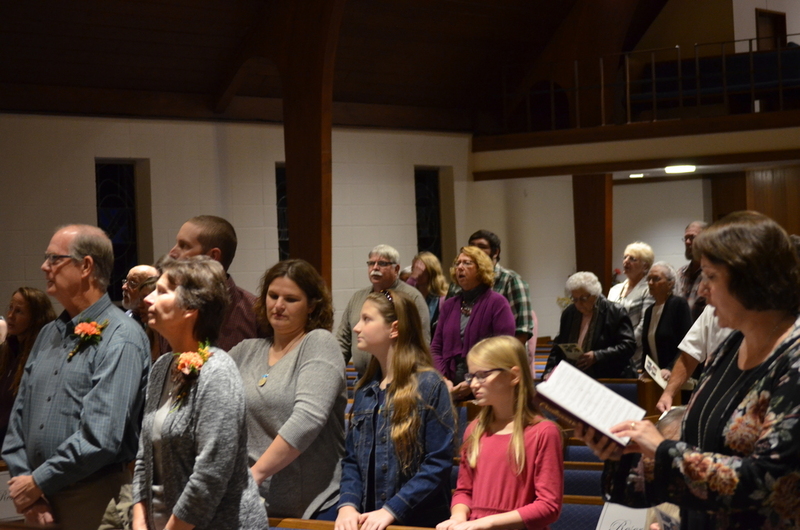 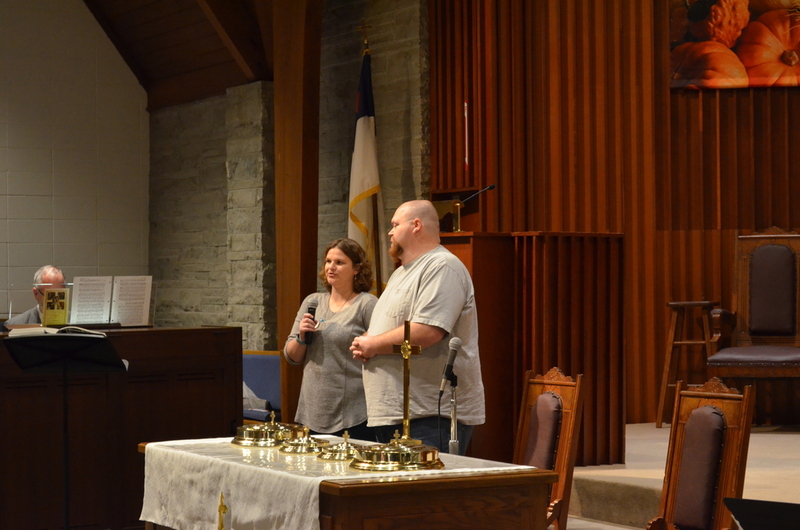 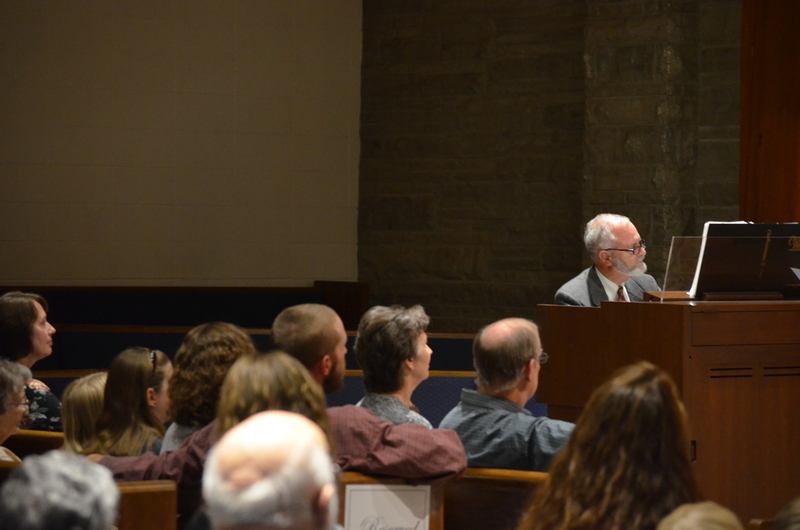 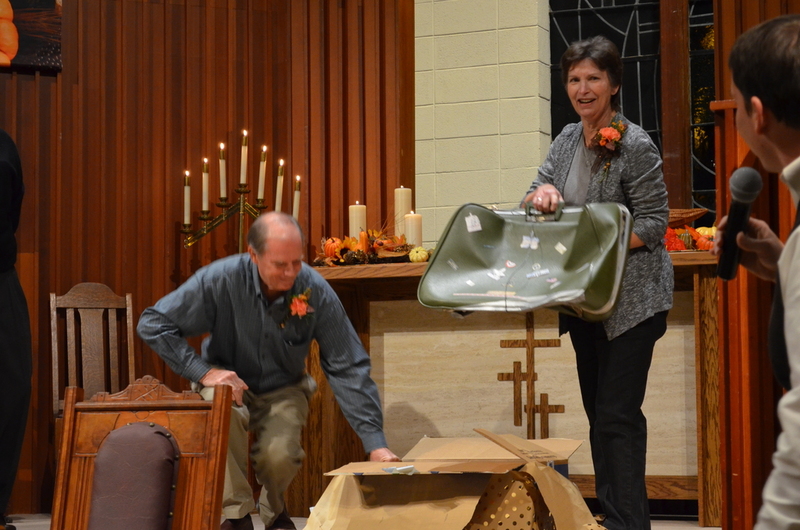 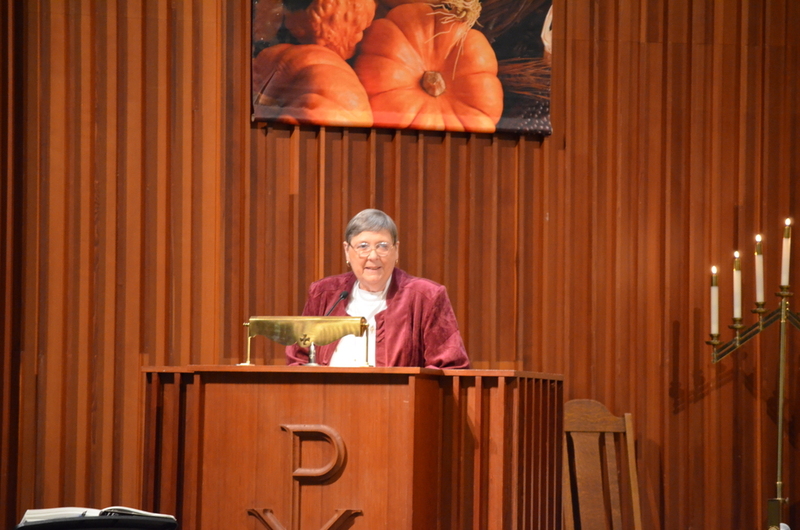 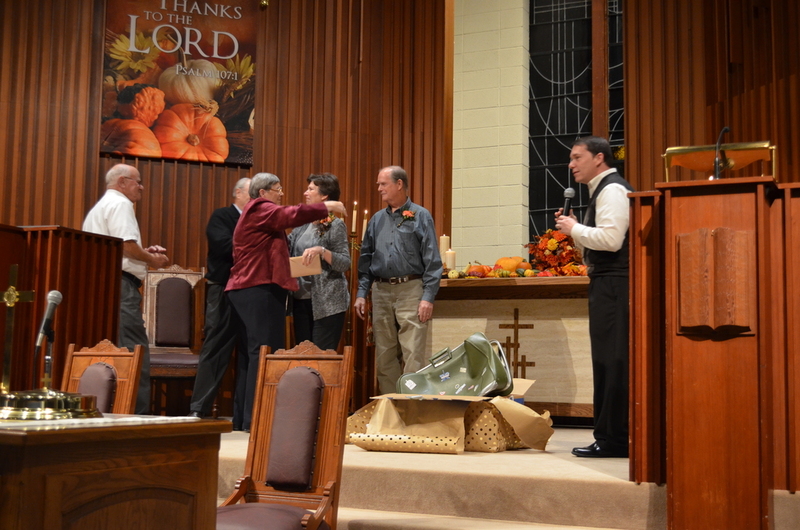 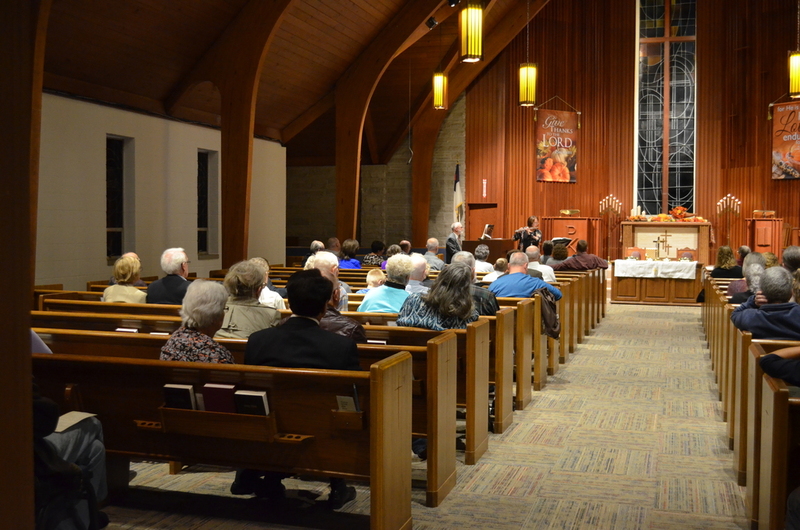 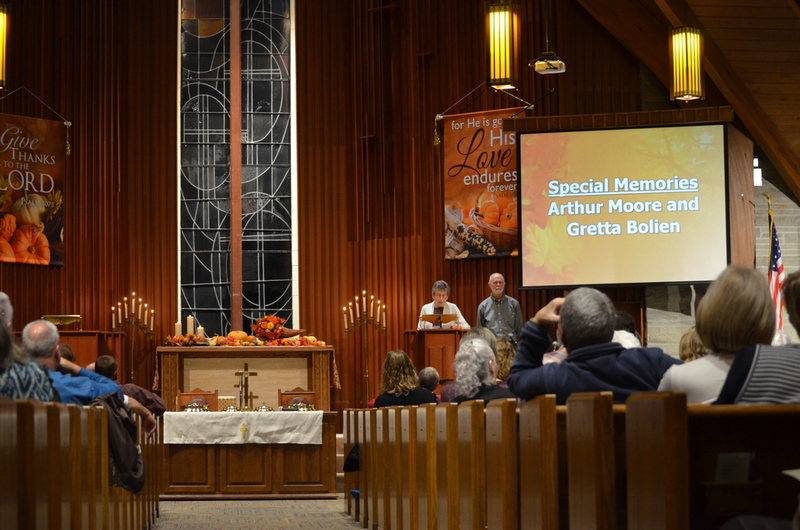 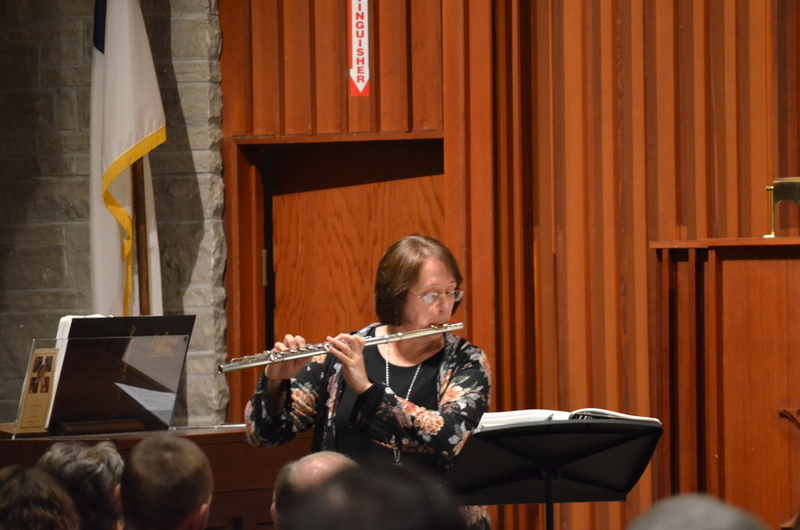 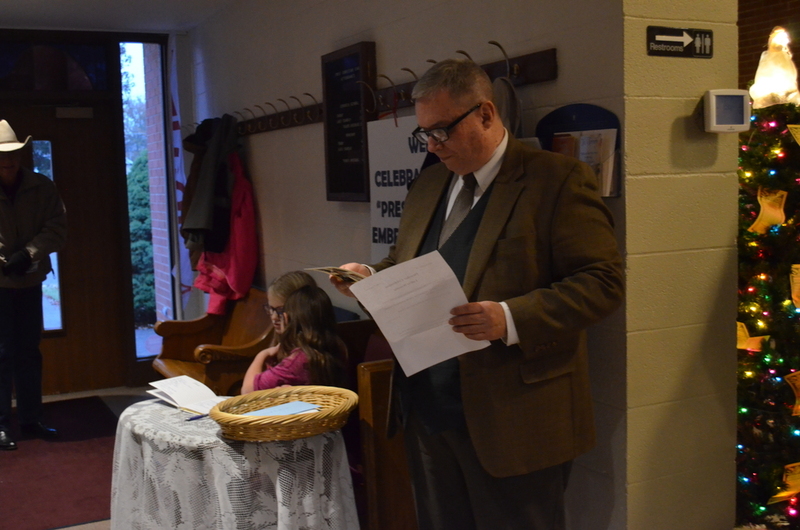 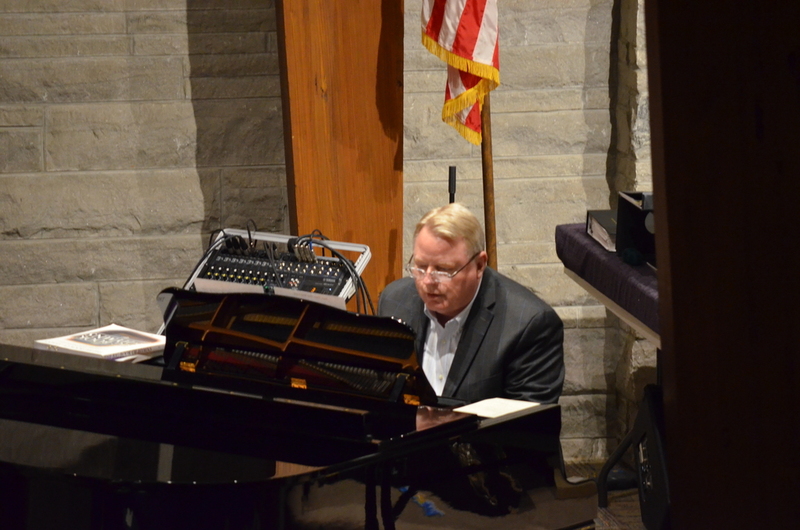 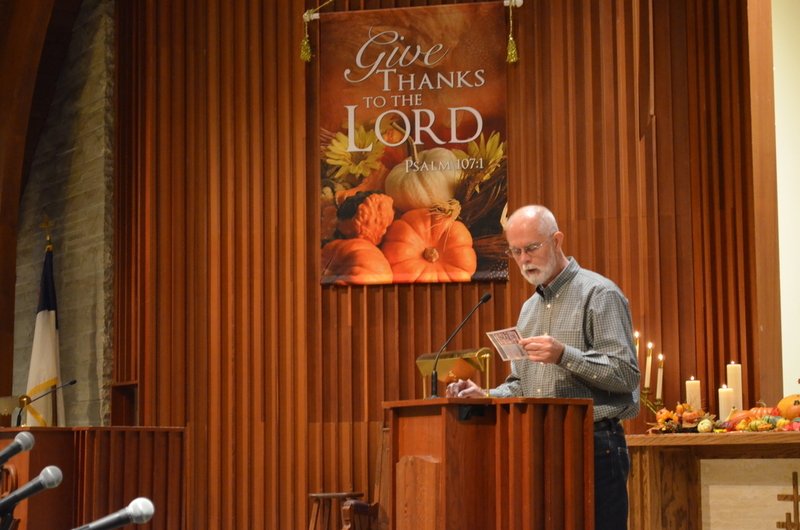 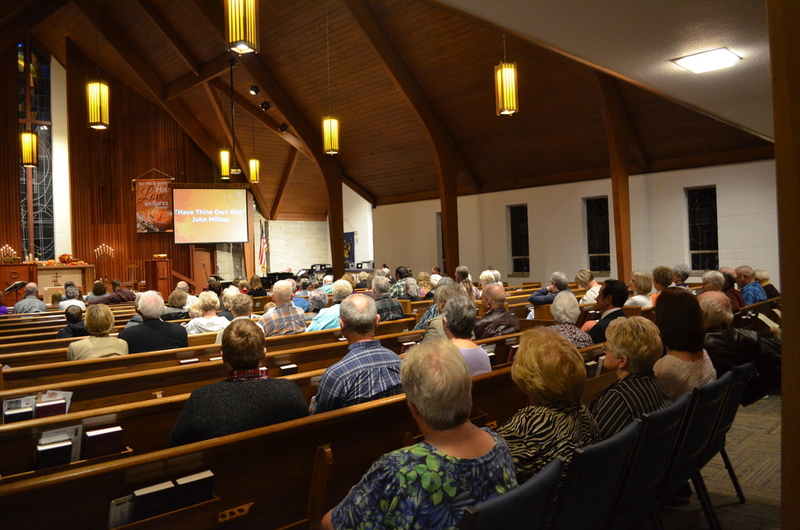 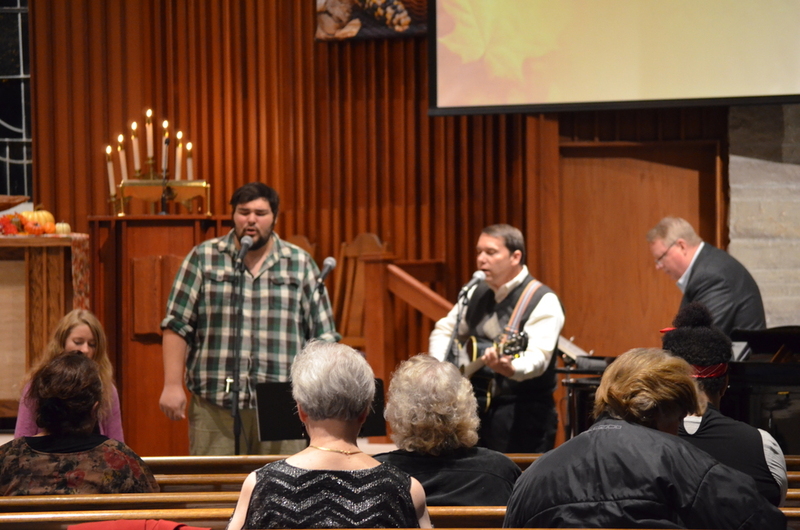 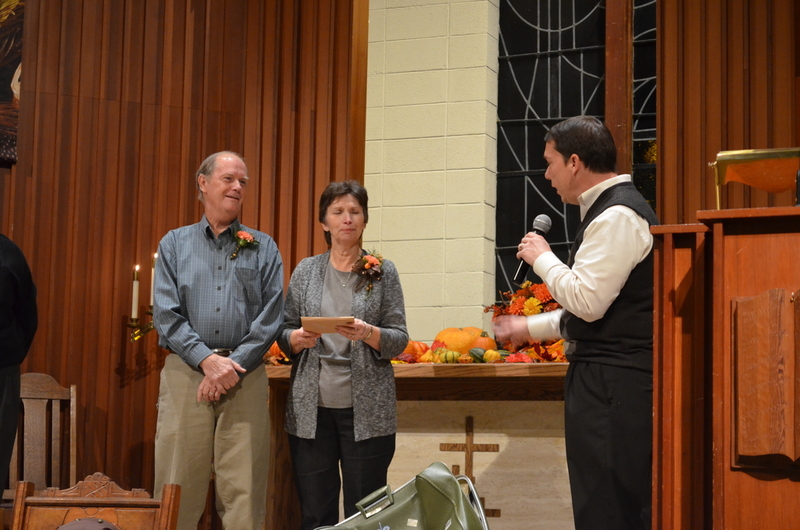 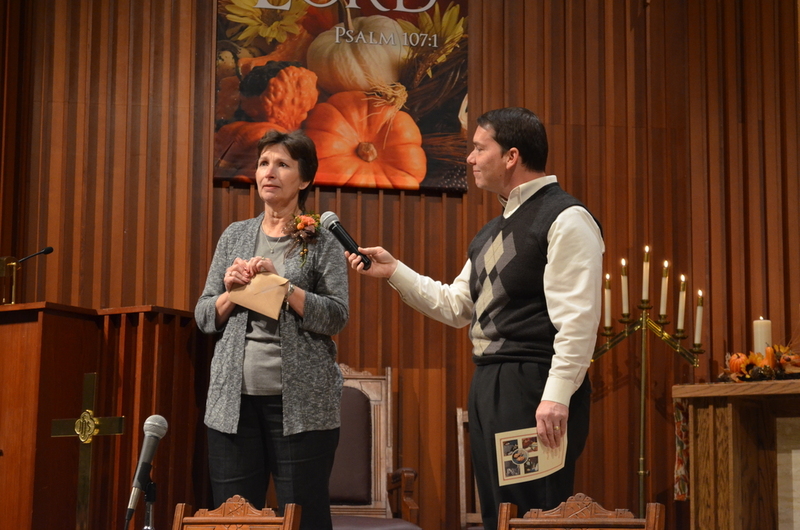 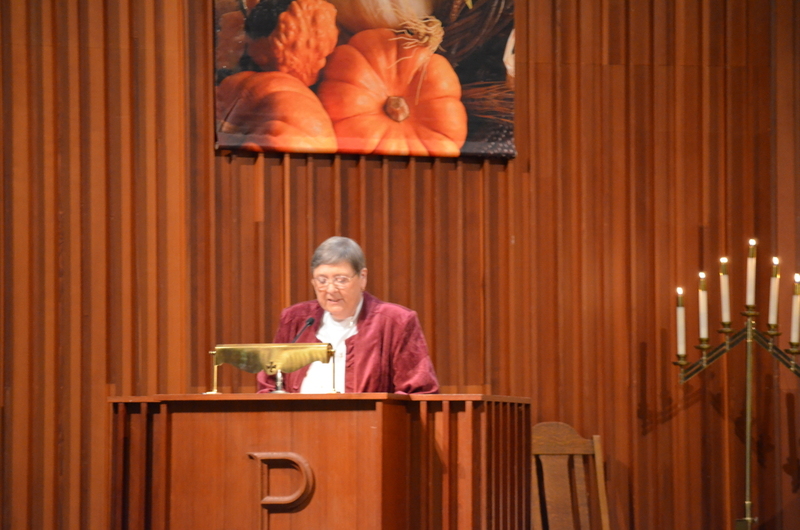 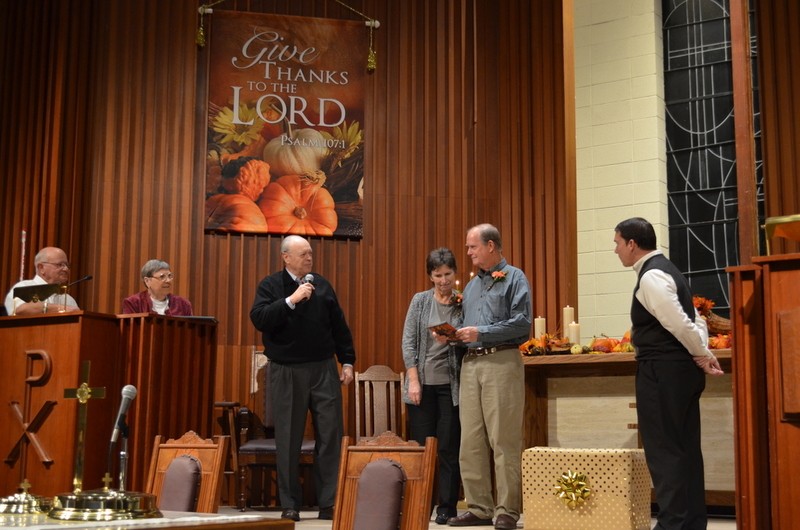 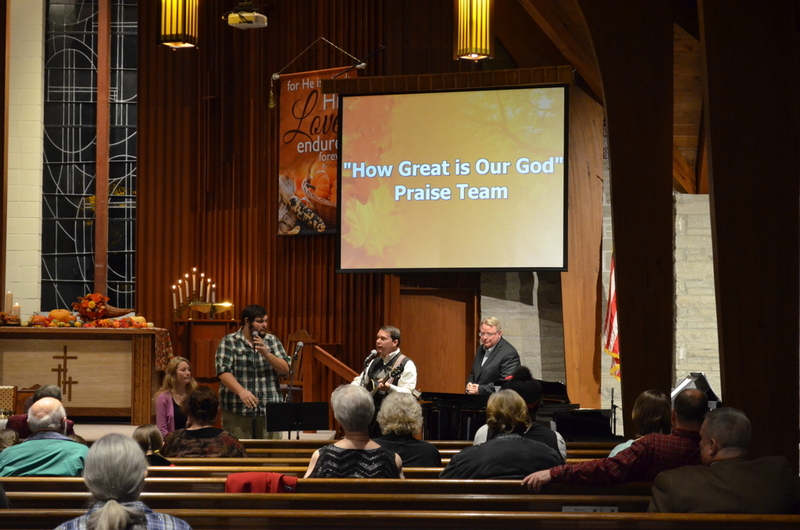 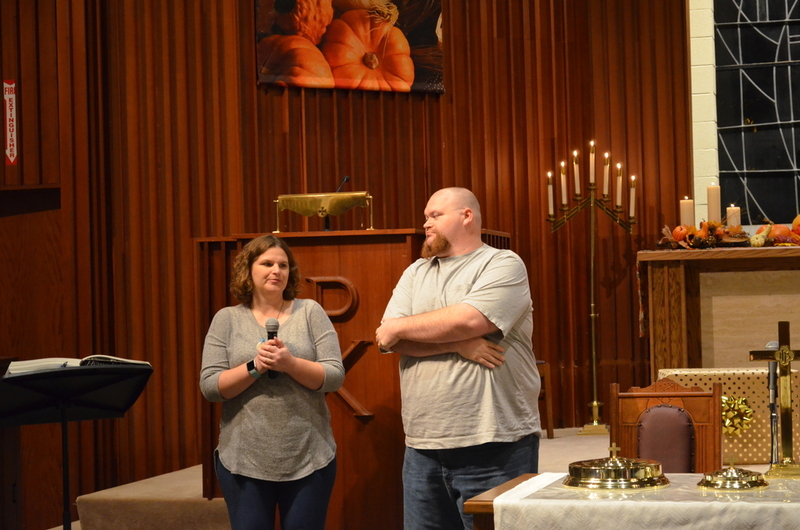 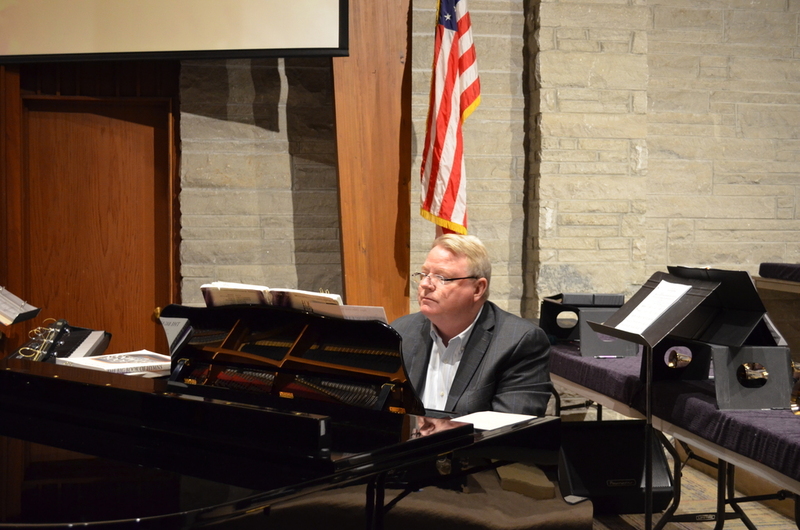 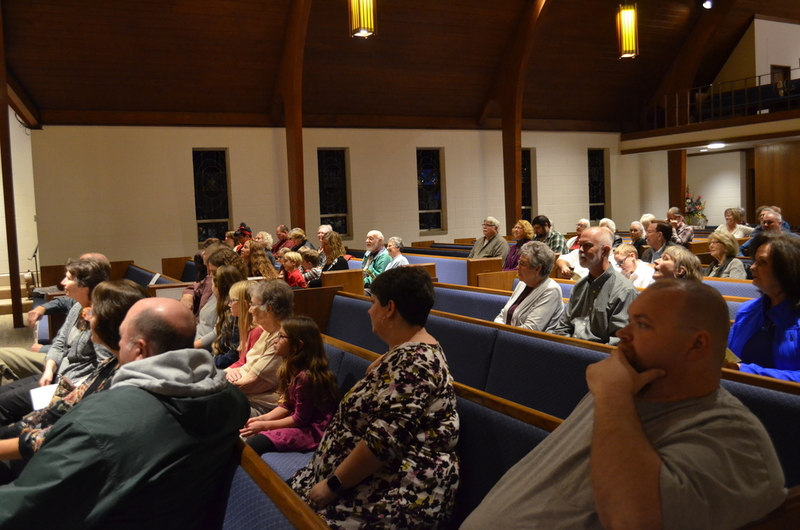 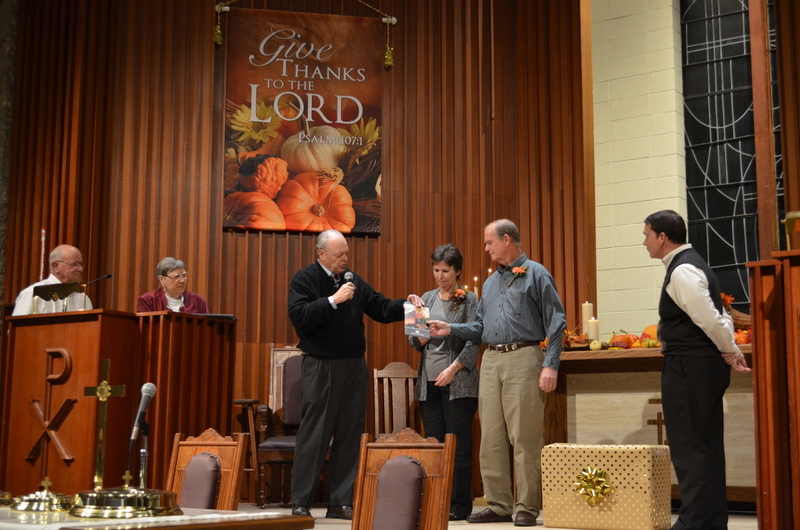 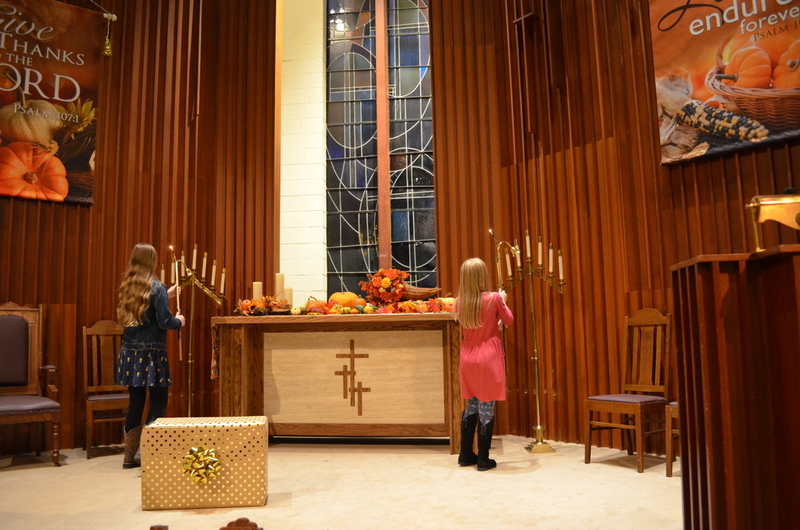 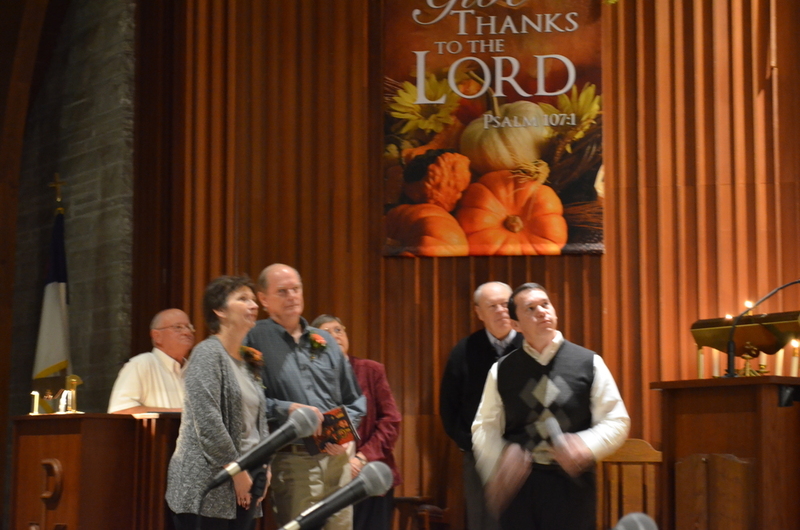 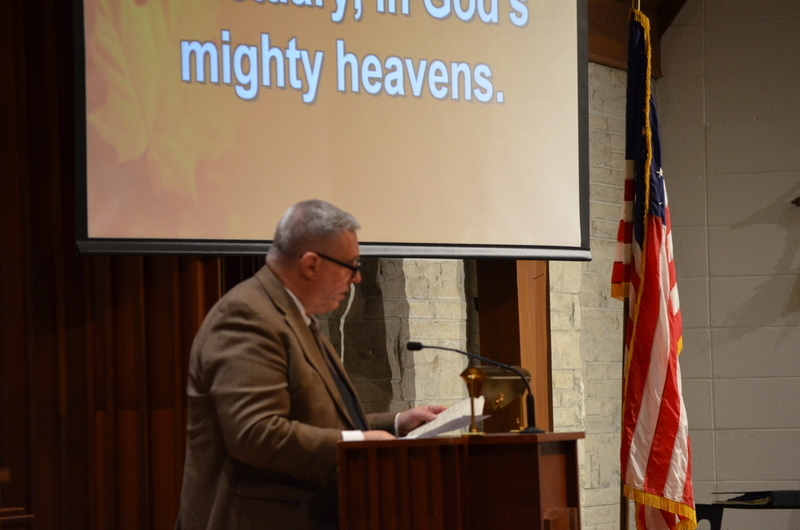 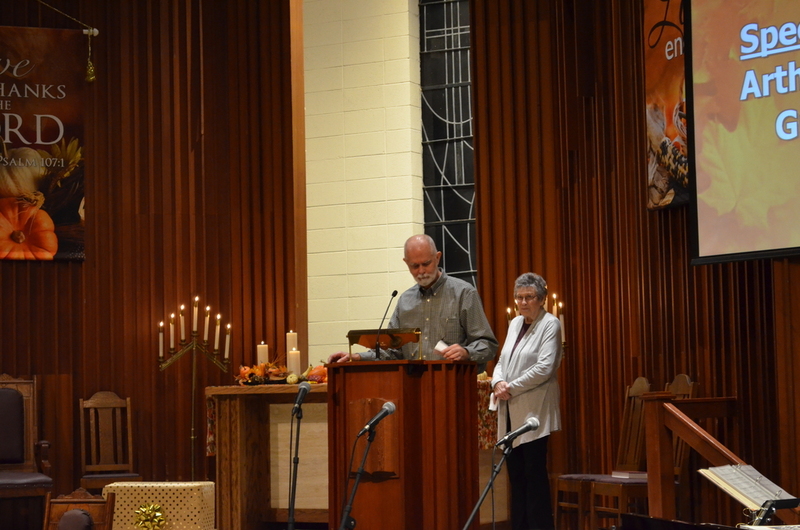 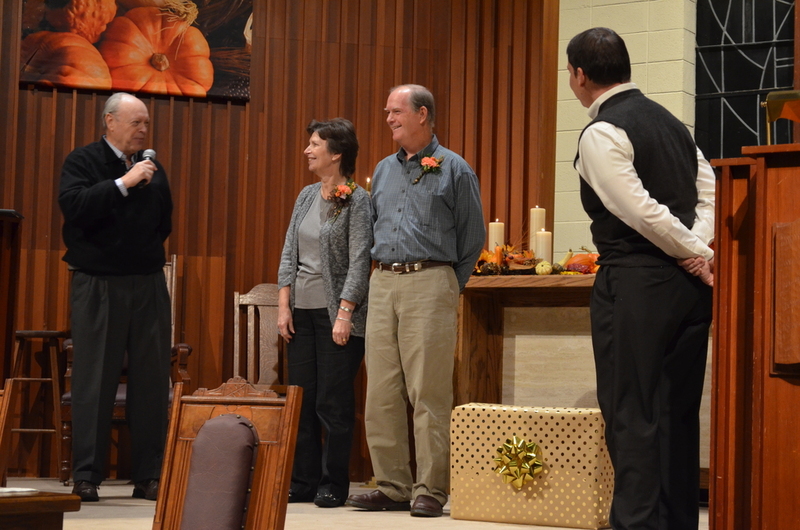 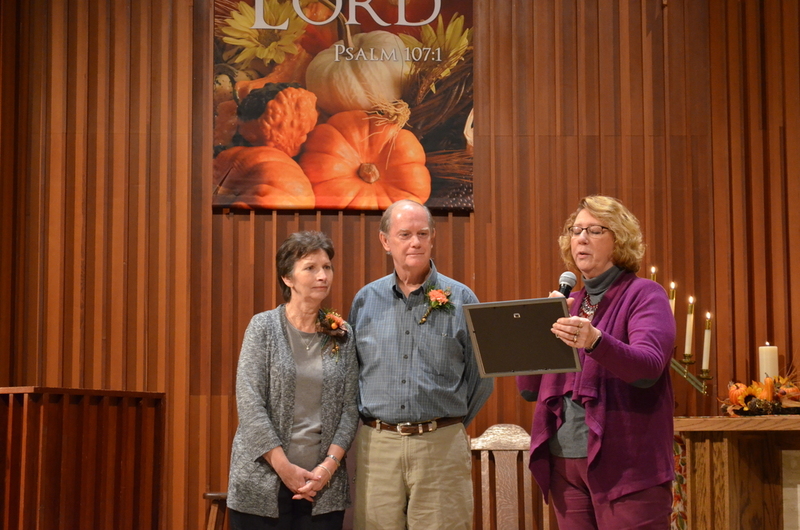 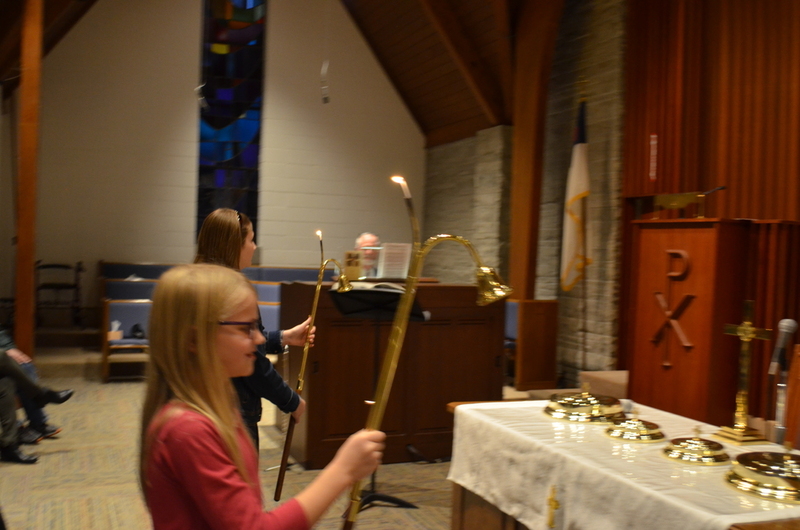 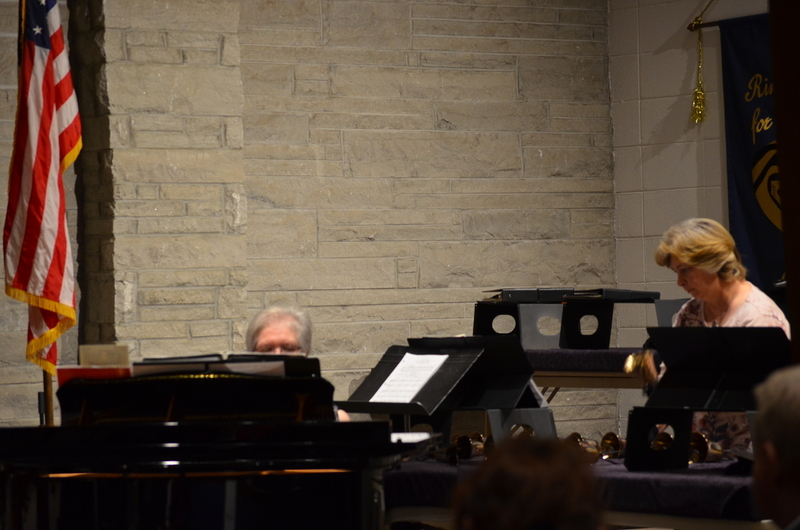 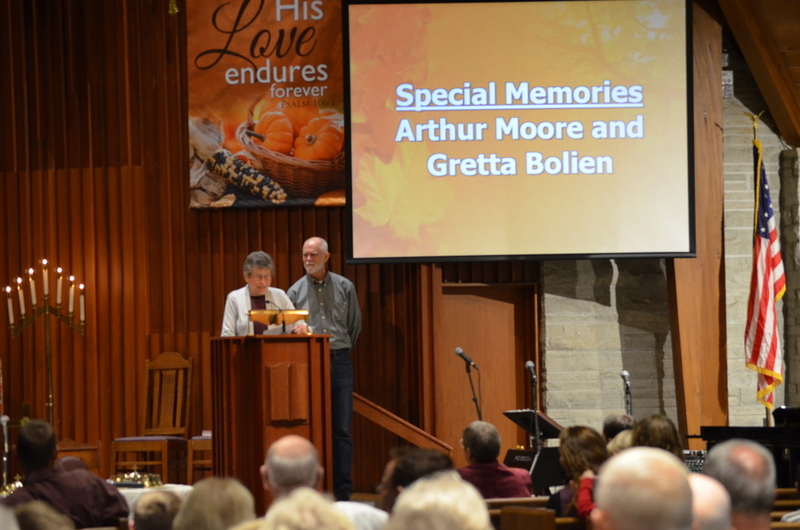 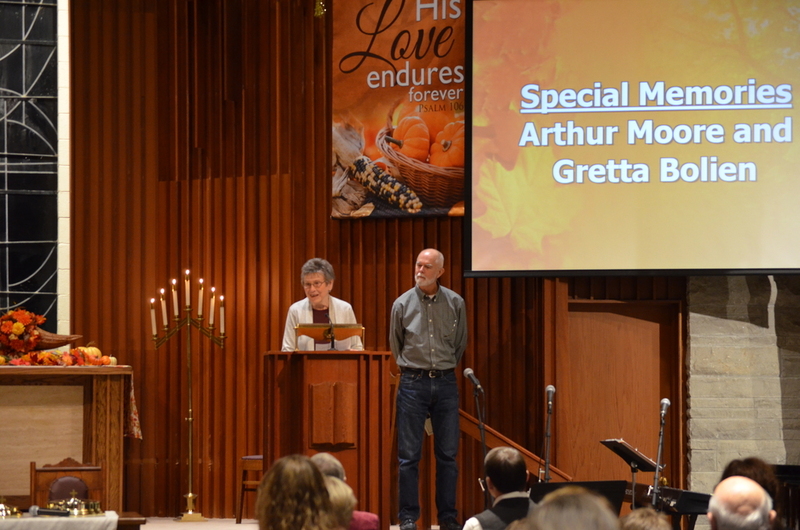 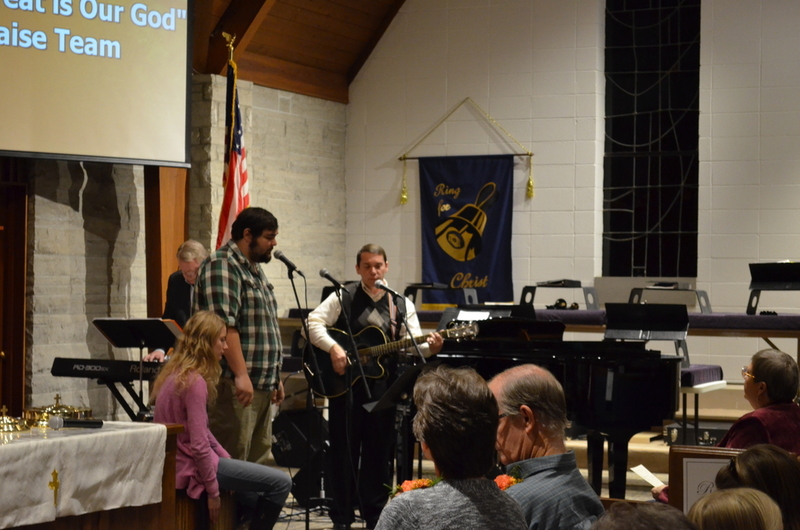 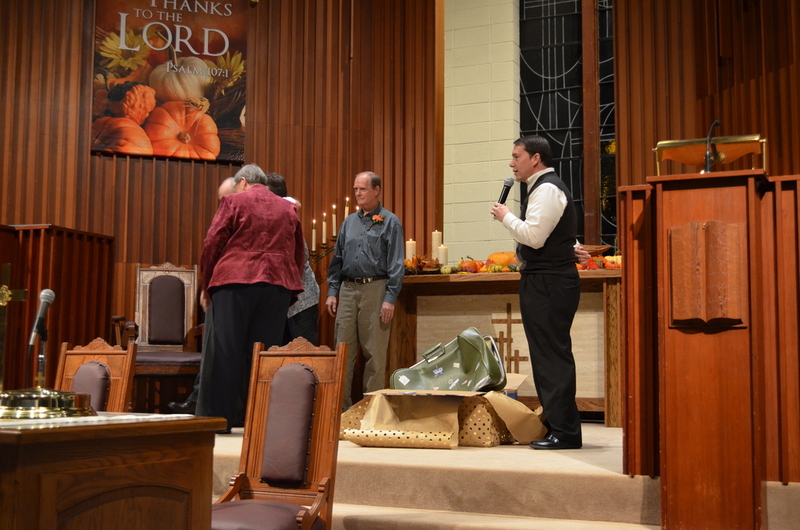 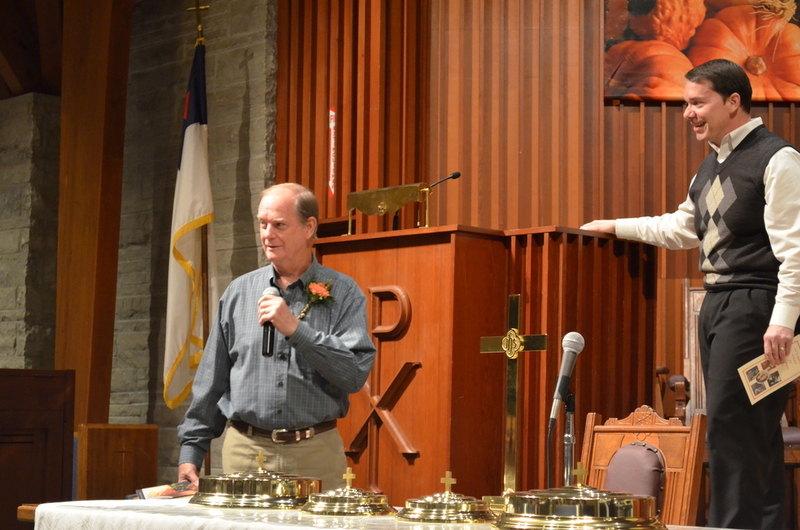 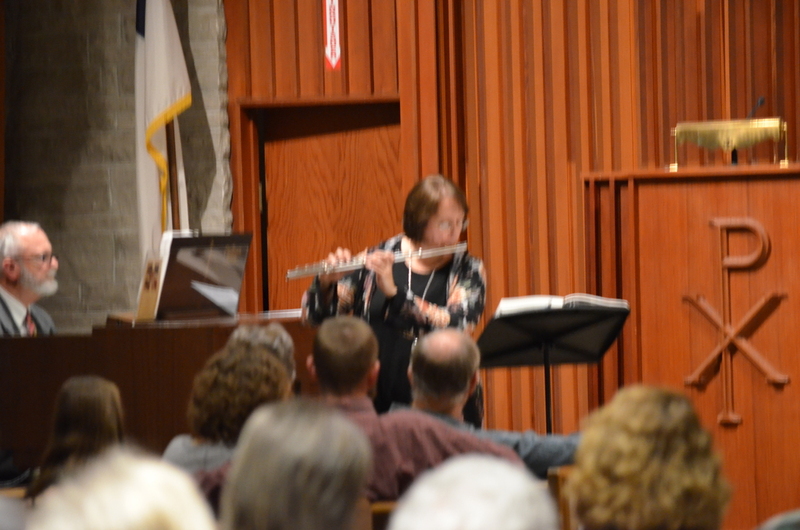 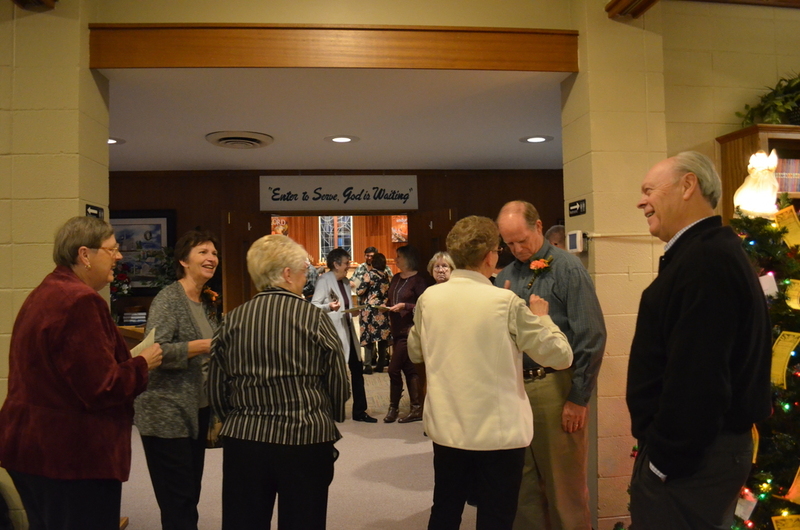 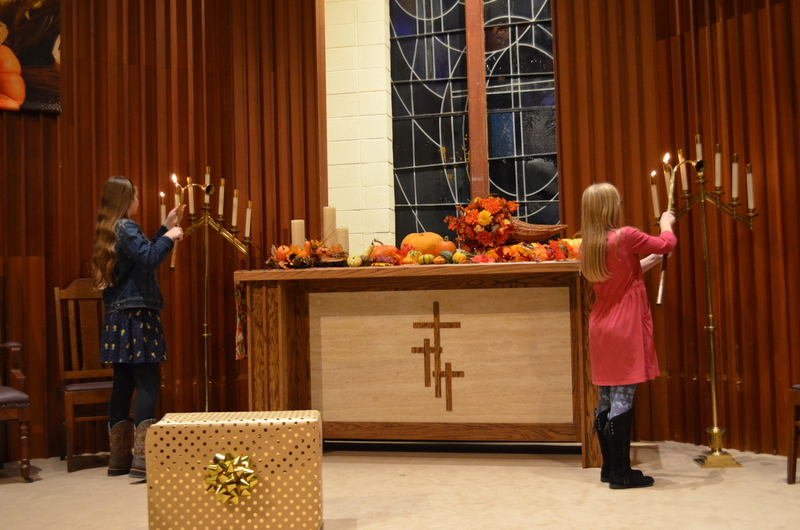 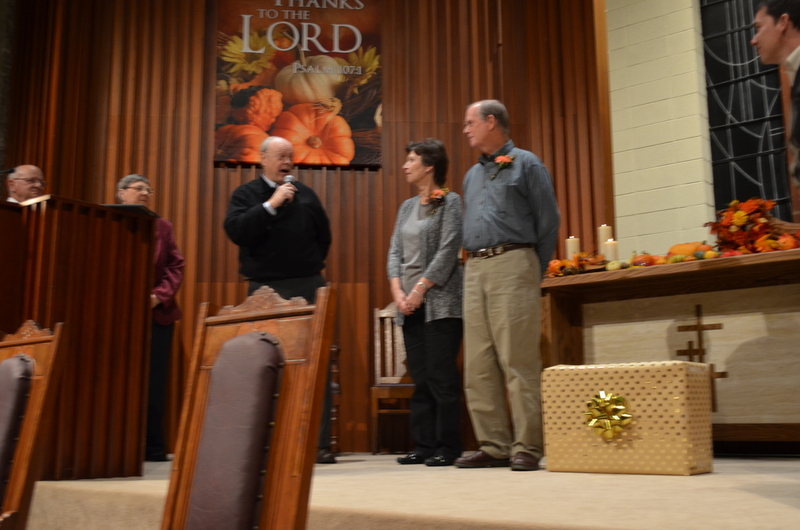 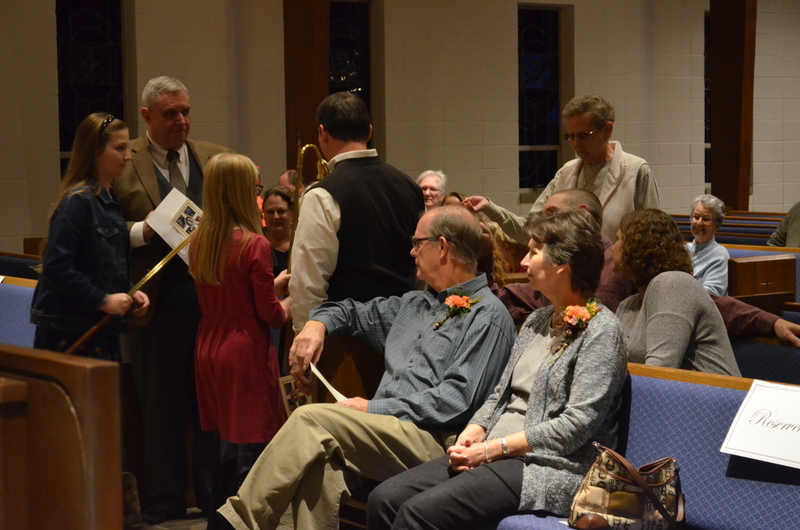 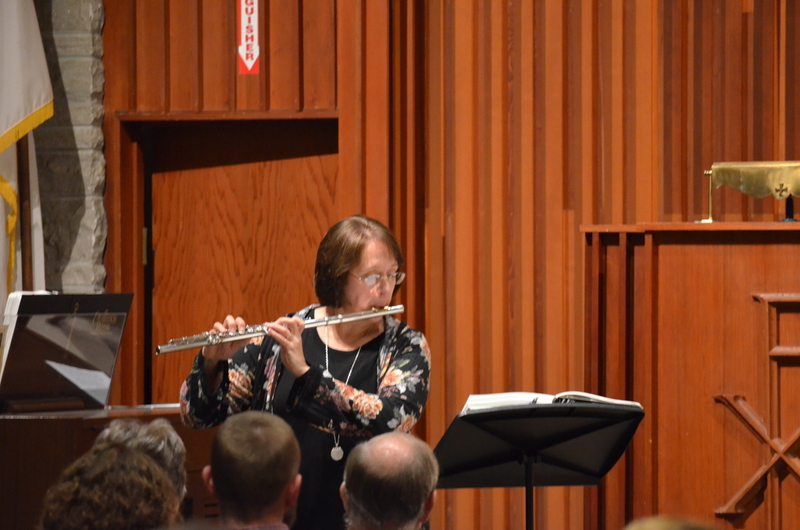 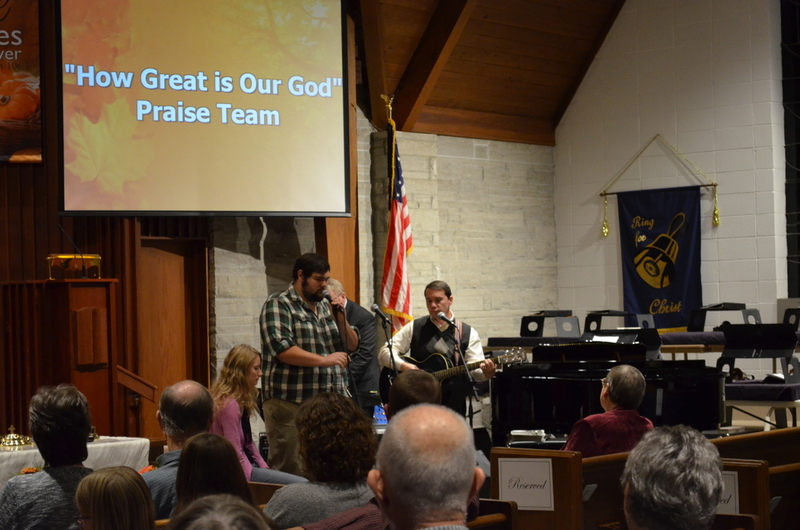 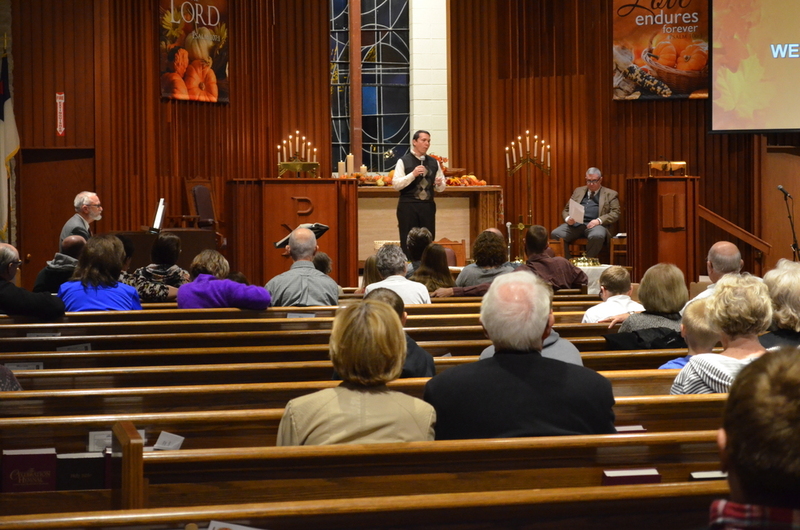 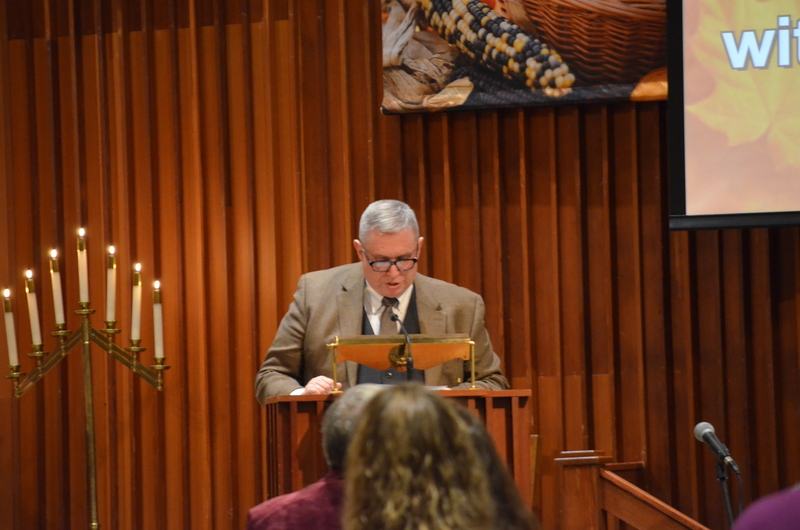 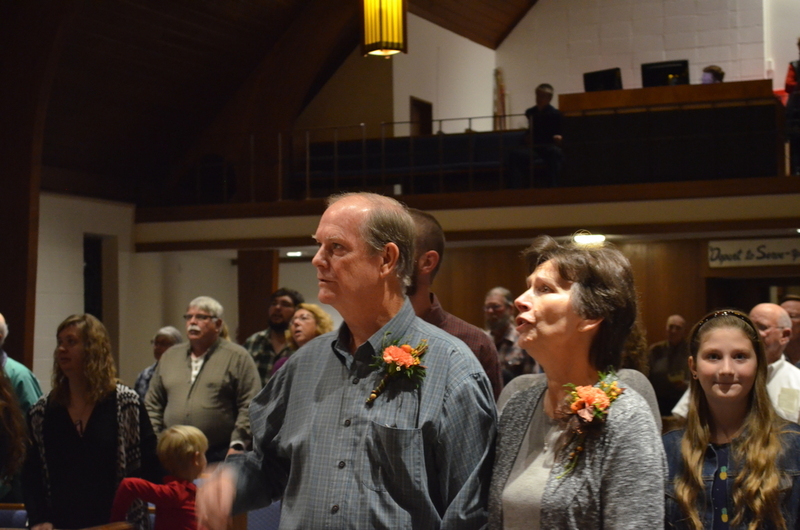 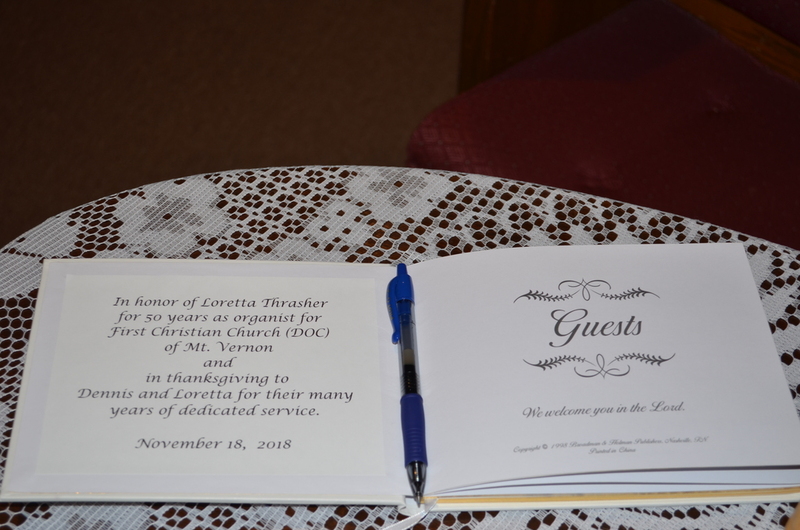 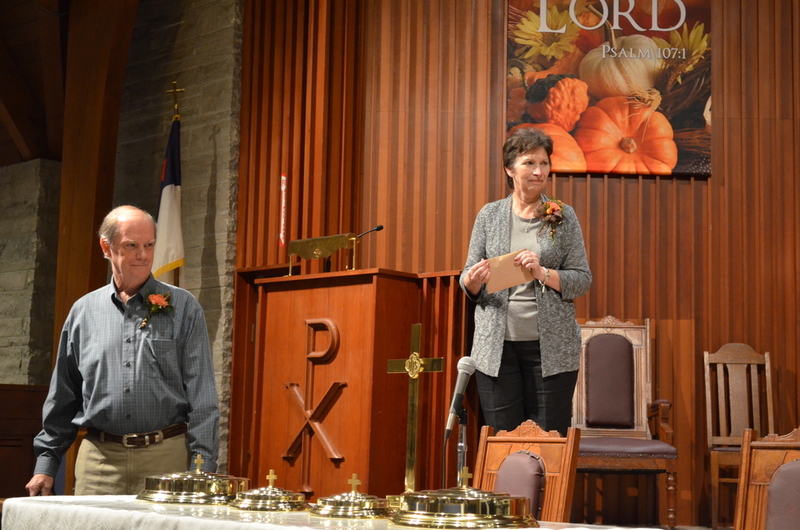 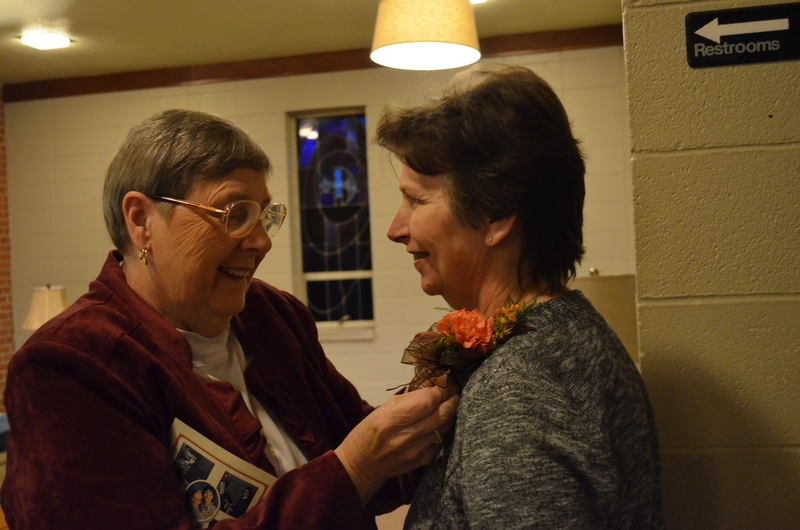 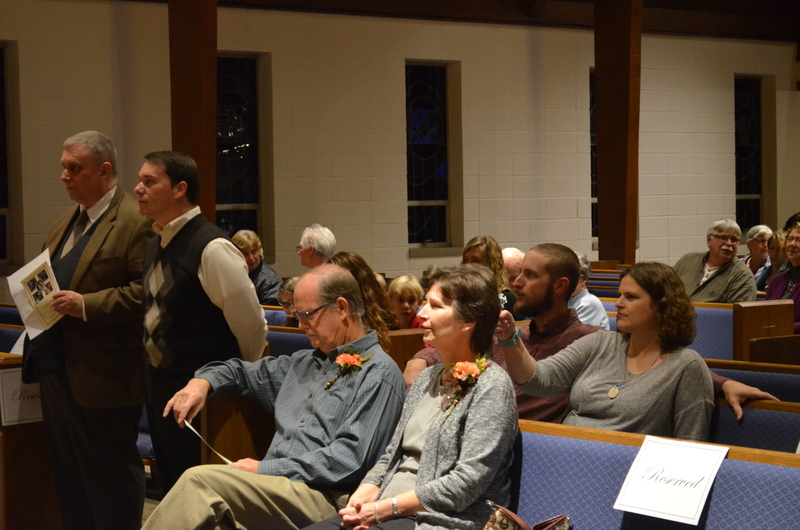 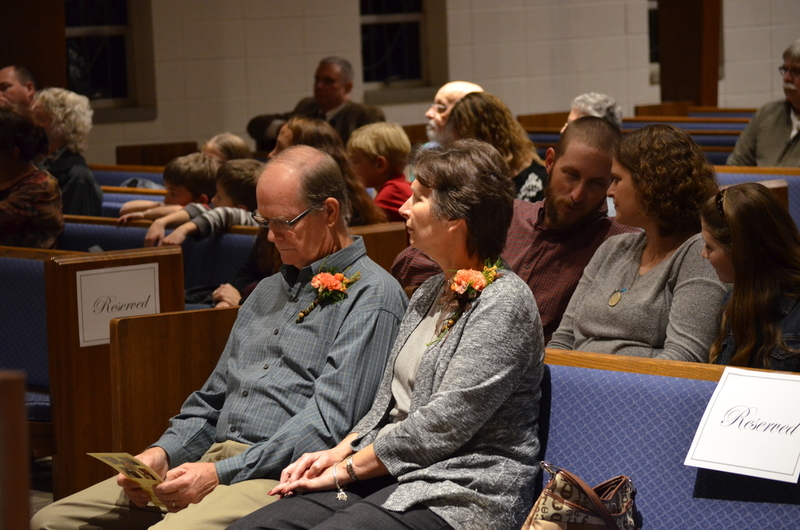 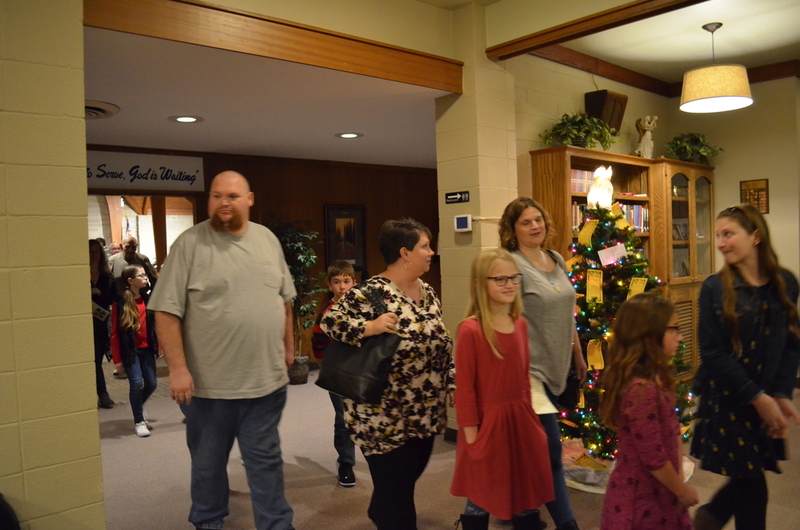 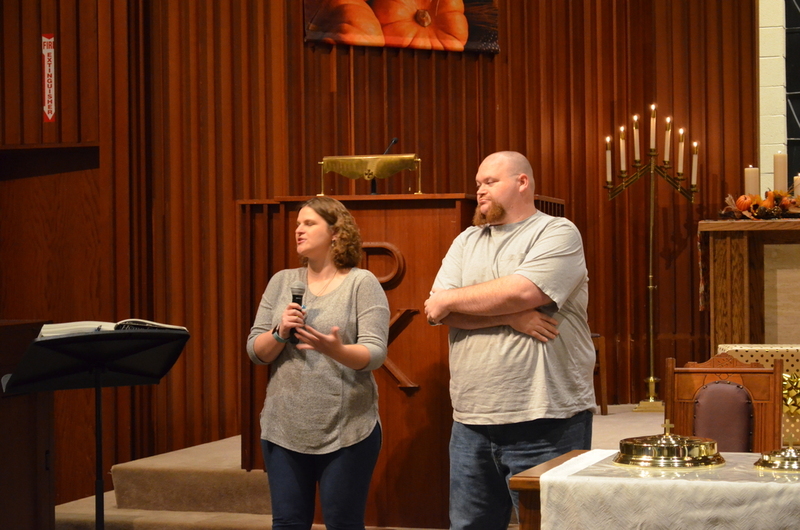 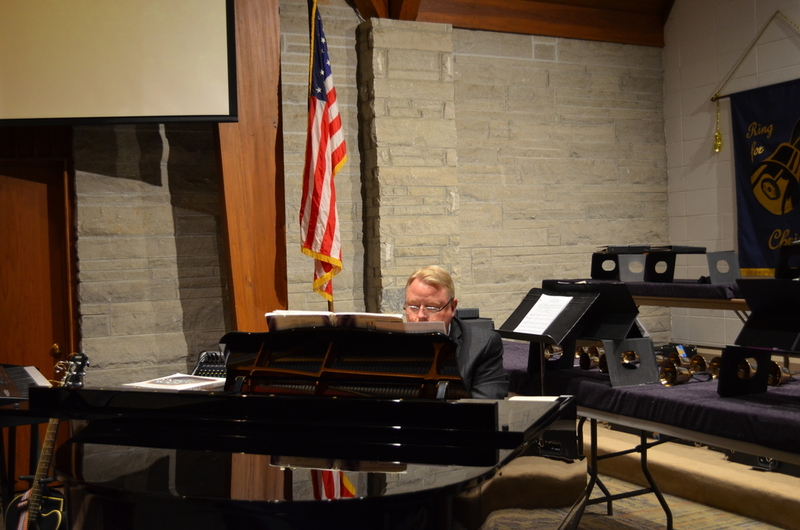 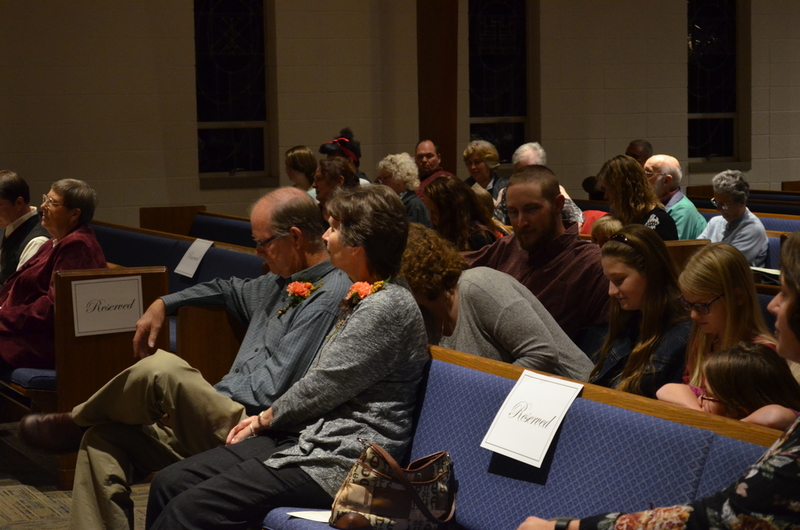 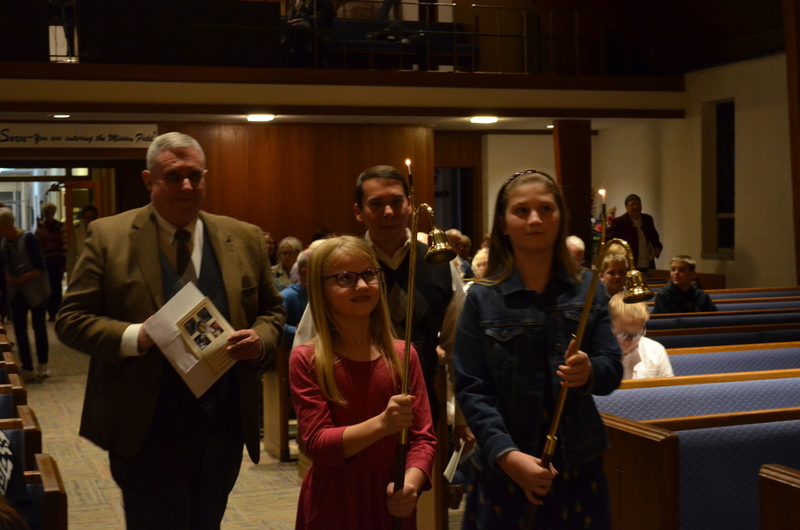 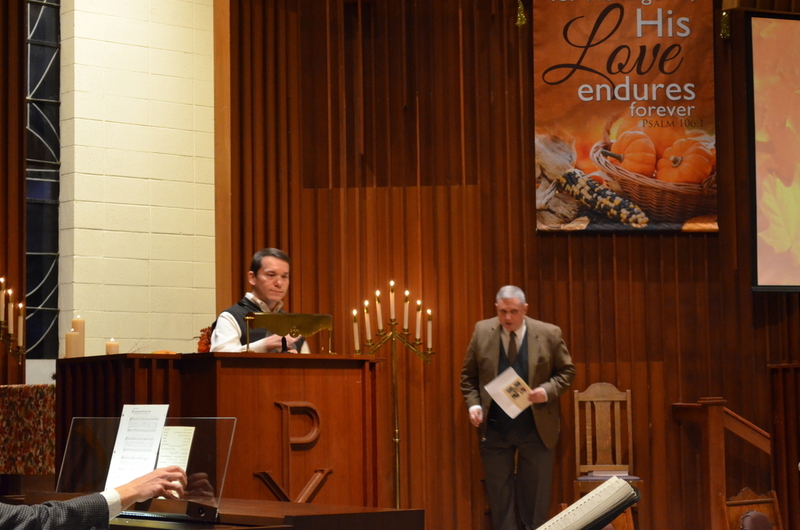 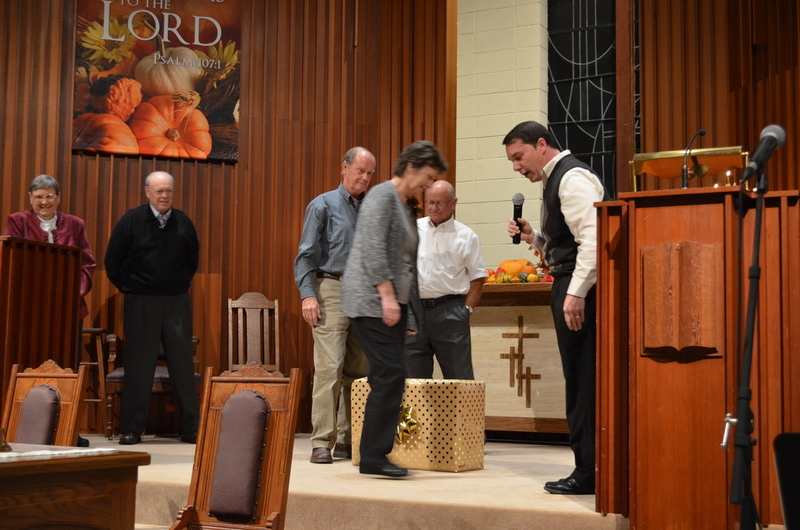 FCC celebrated them with a special service on Sunday, November 18th. 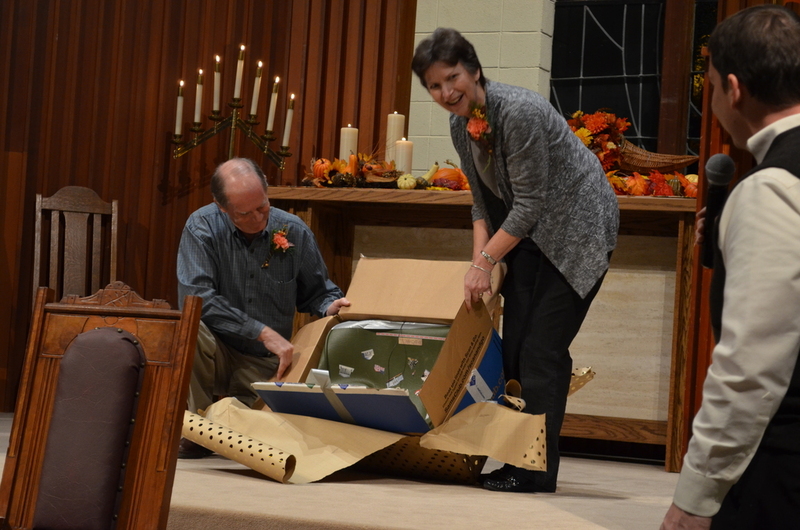 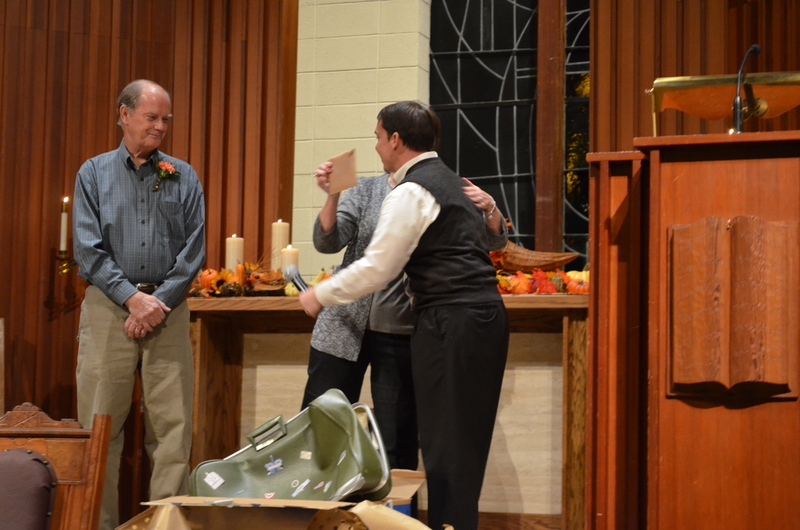 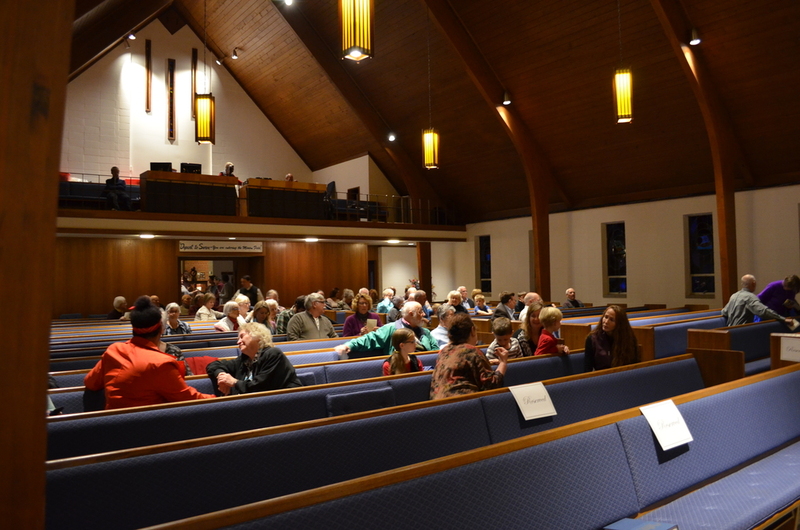 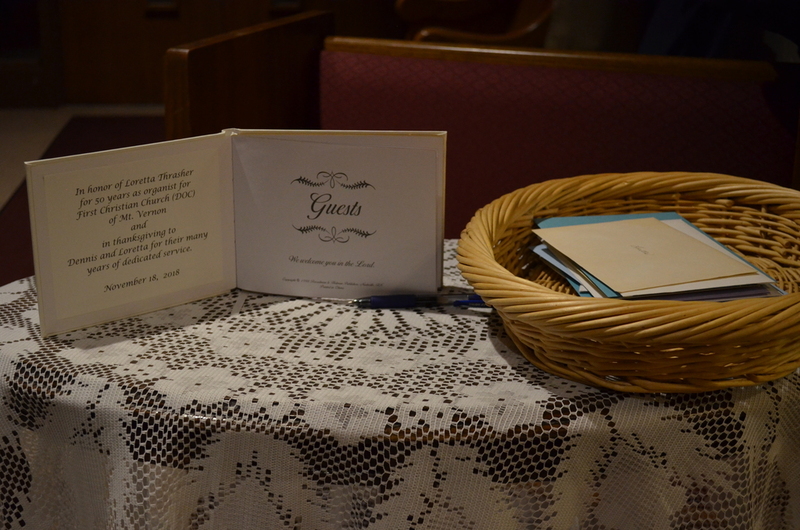 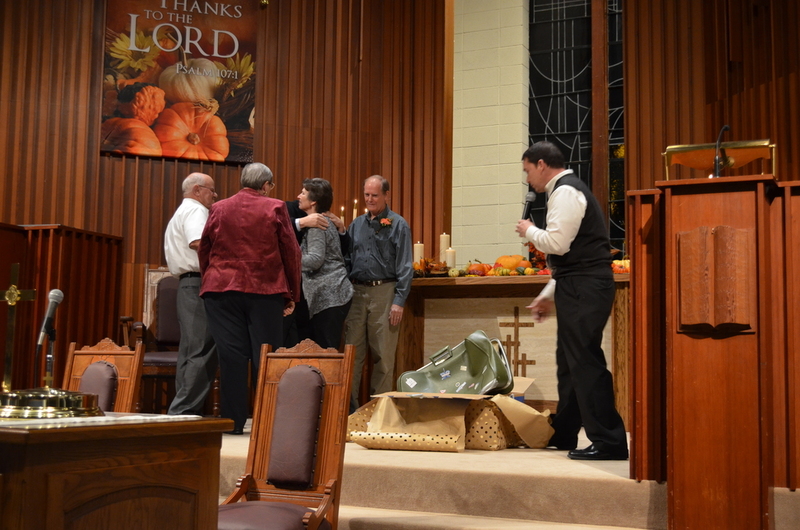 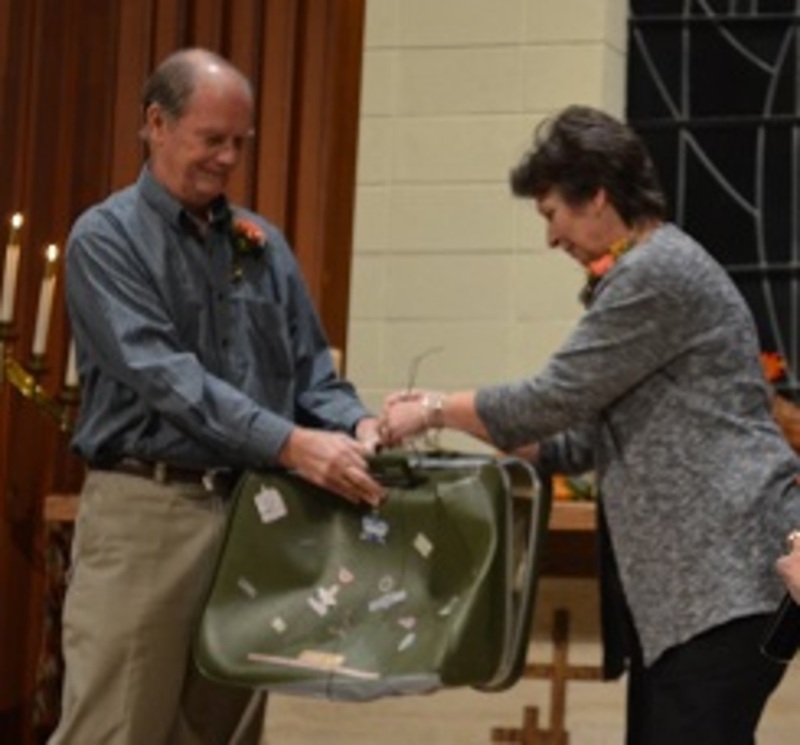 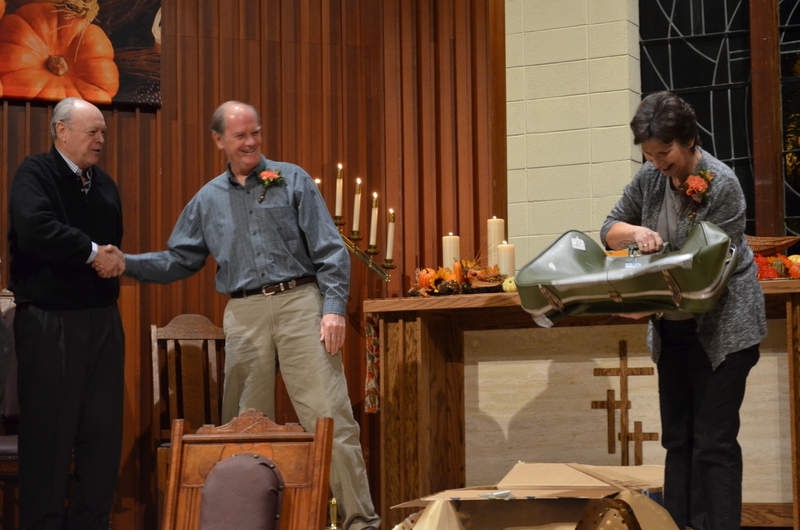 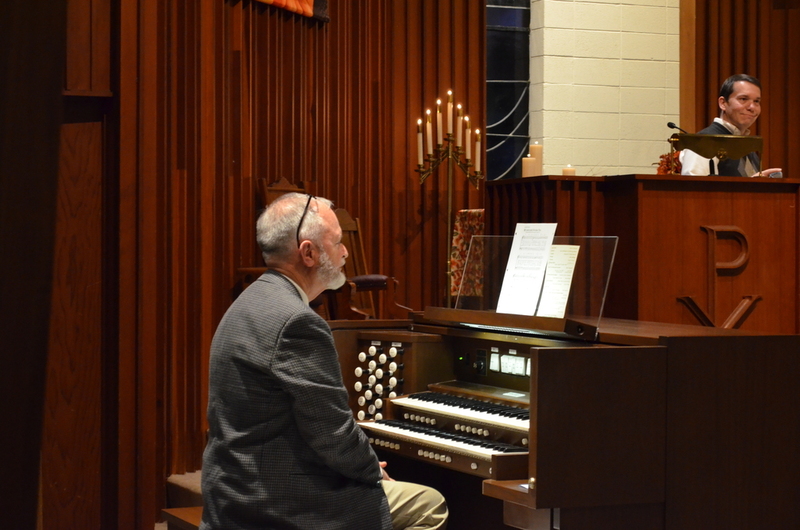 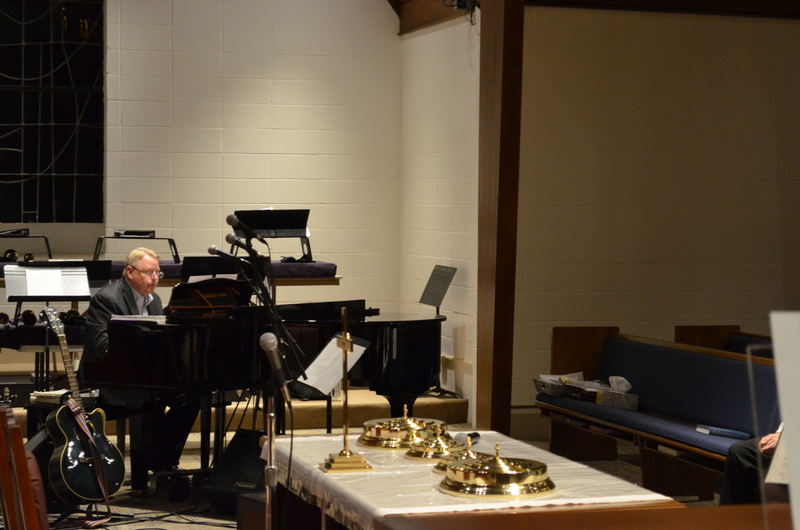 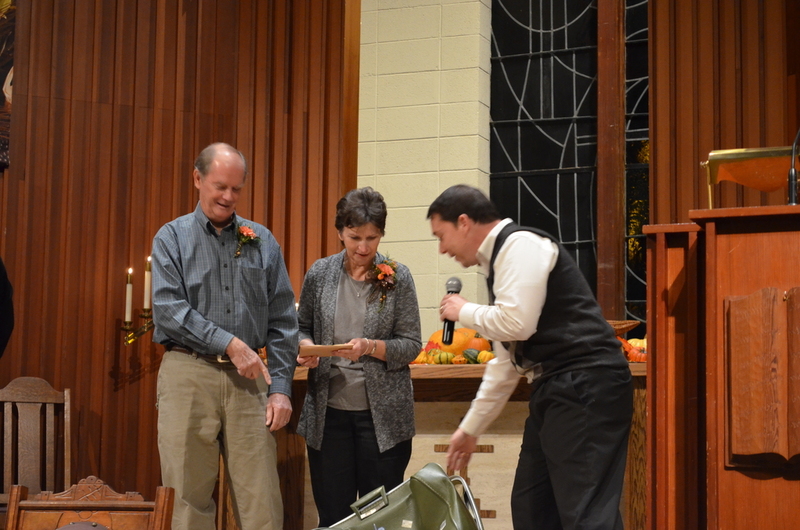 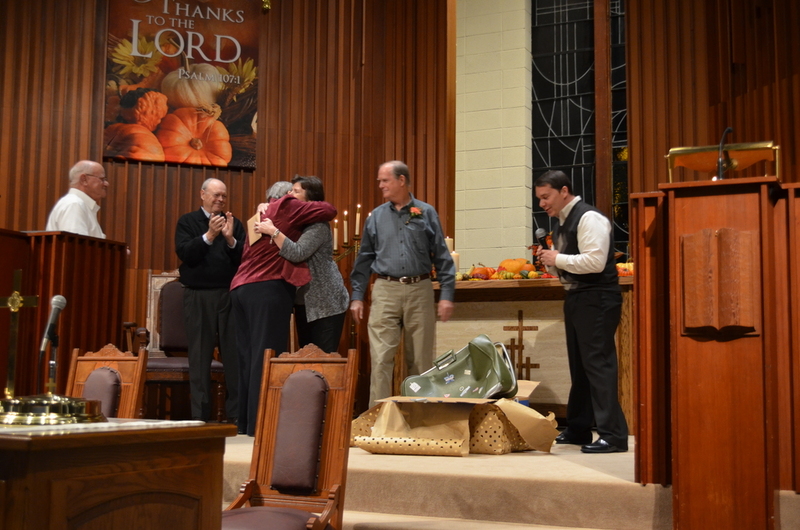 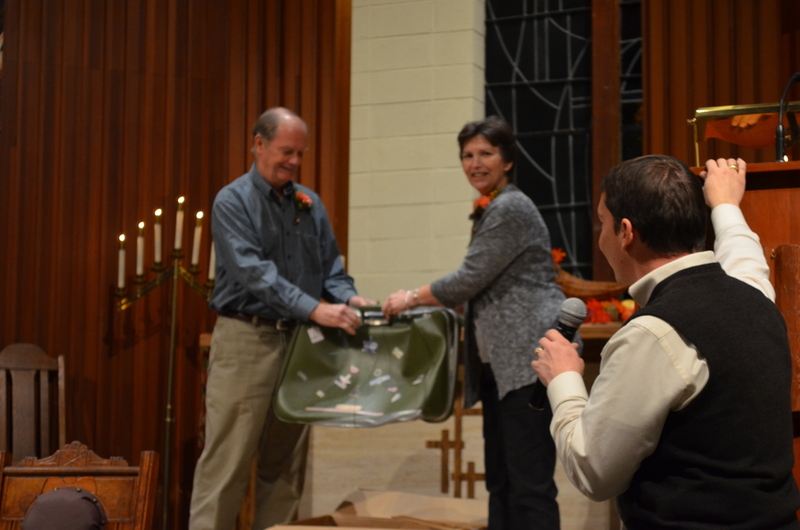 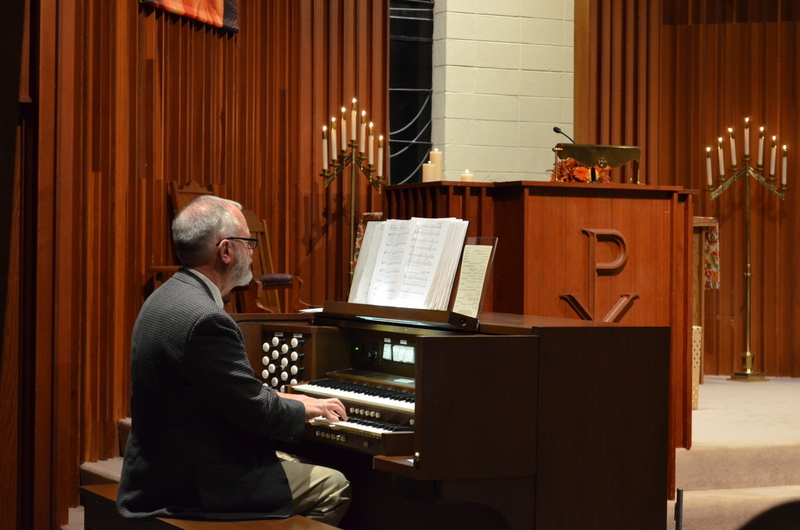 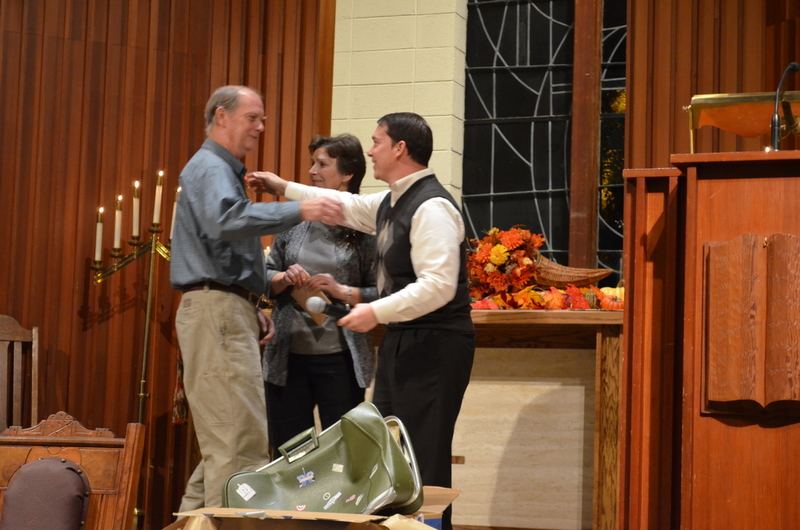 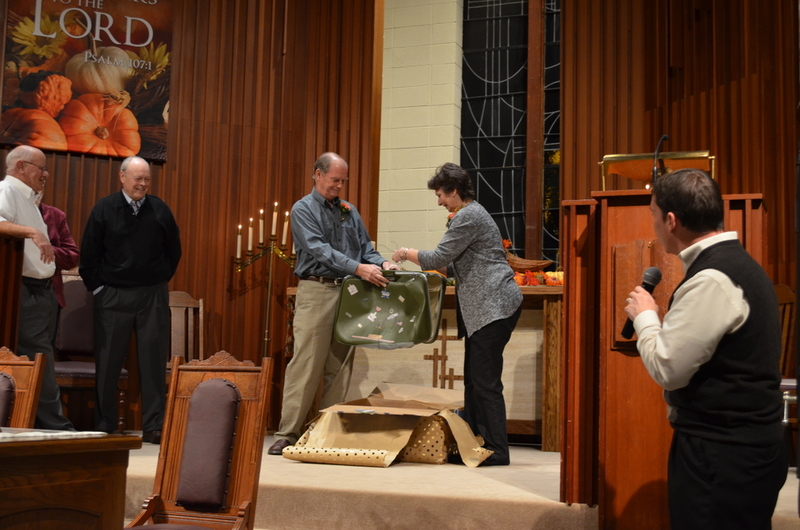 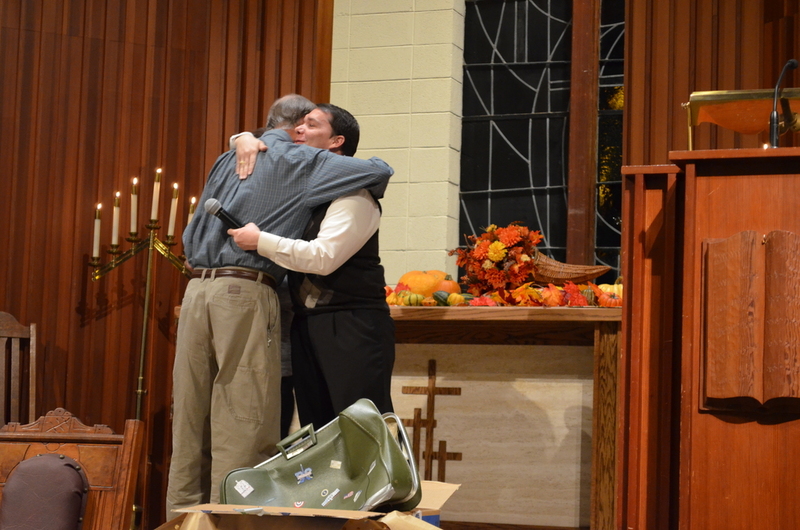 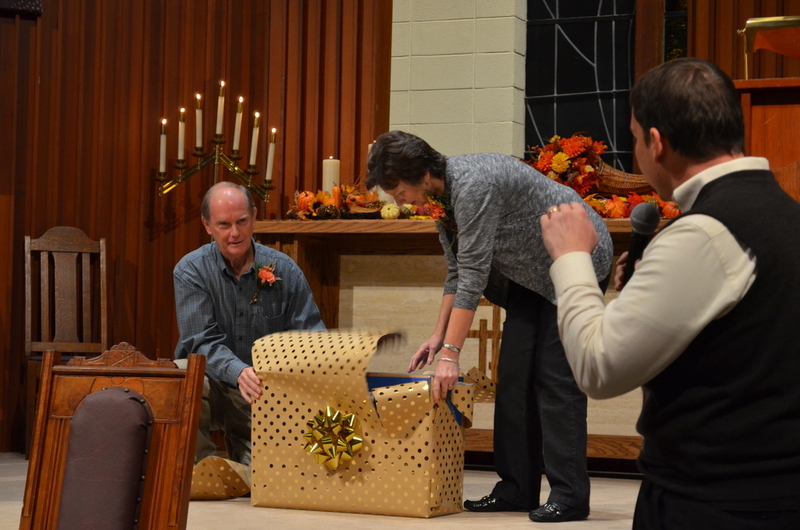 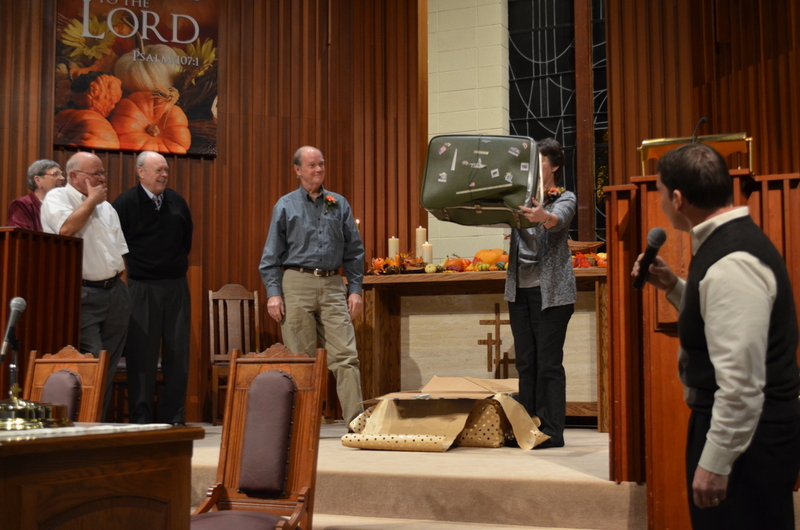 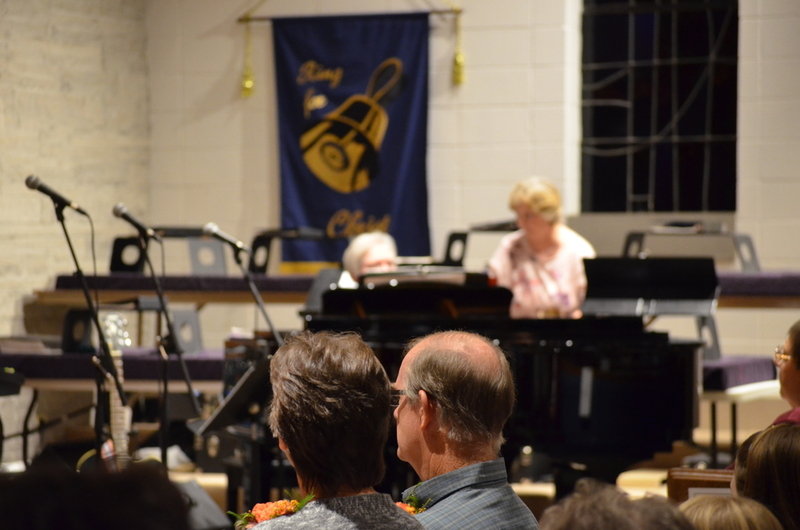 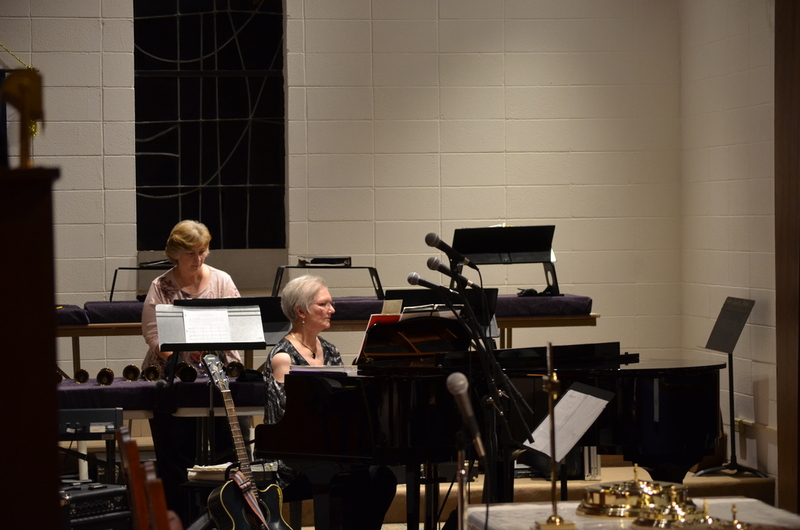 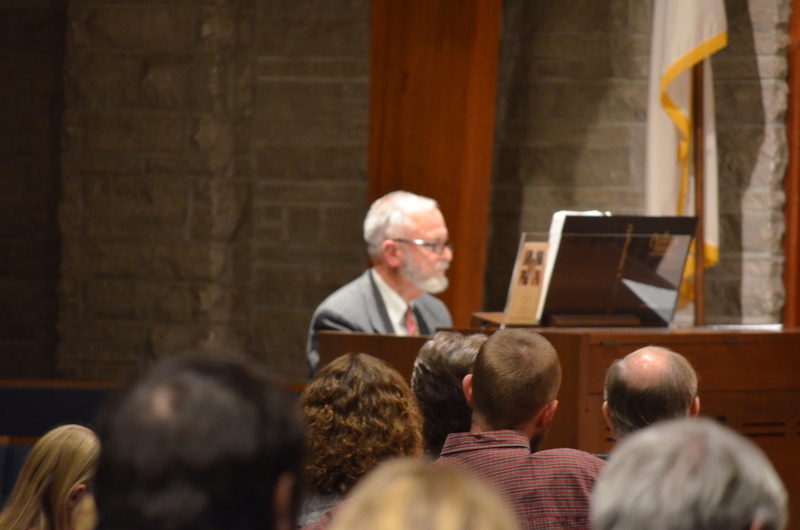 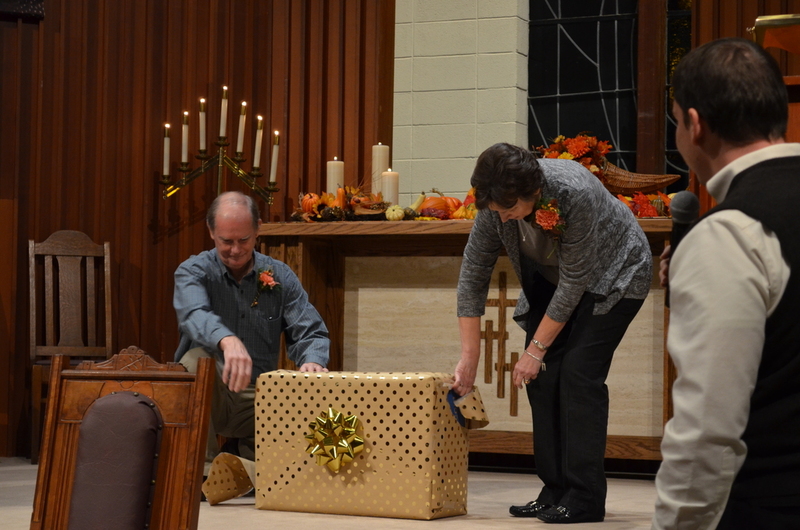 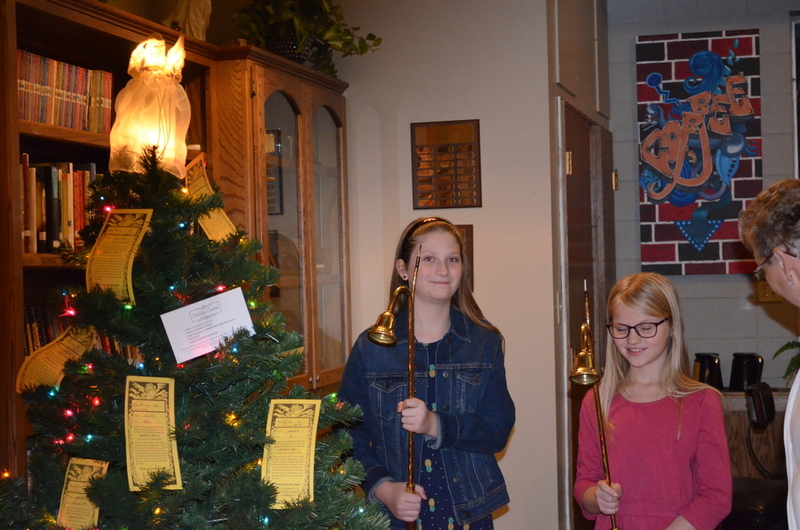 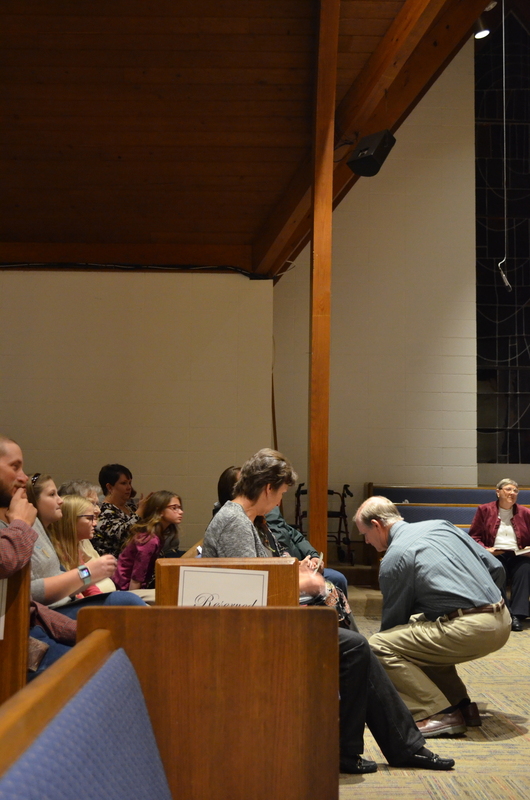 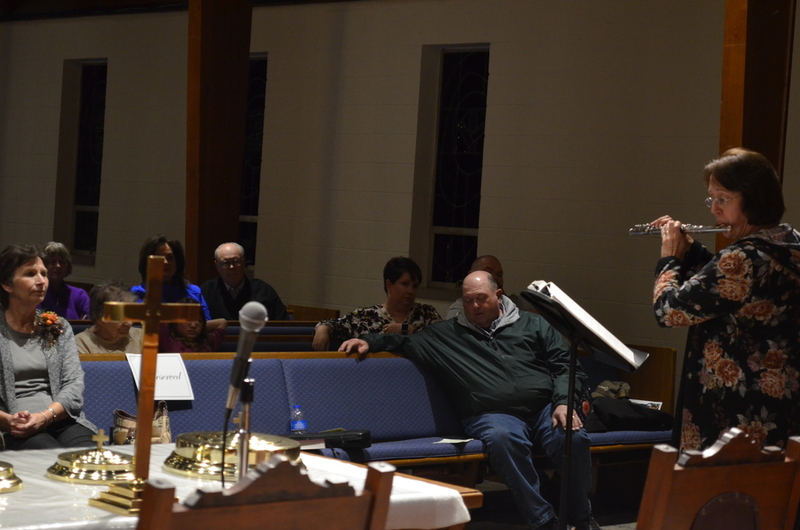 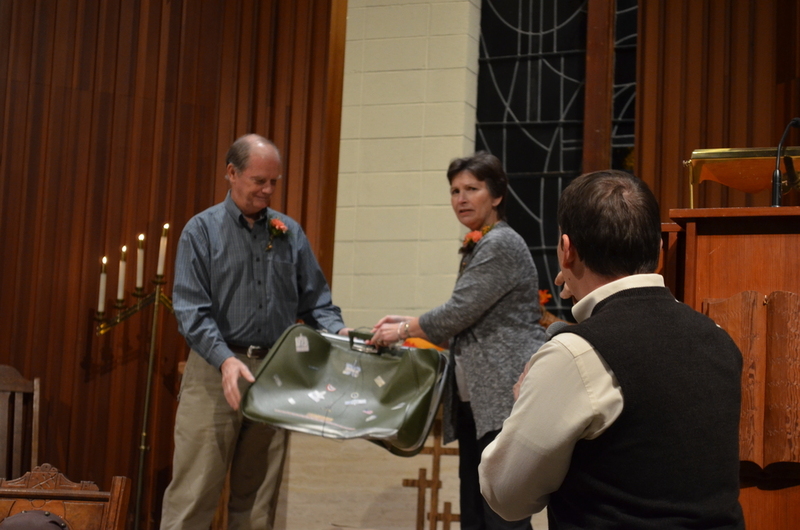 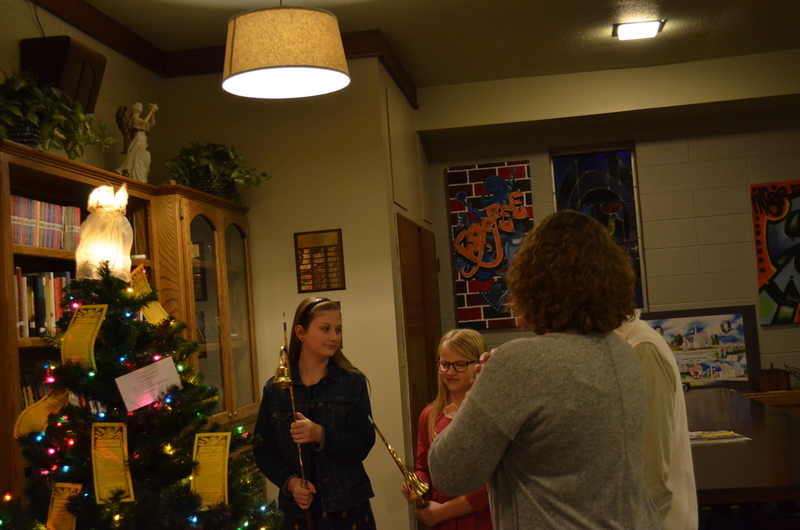 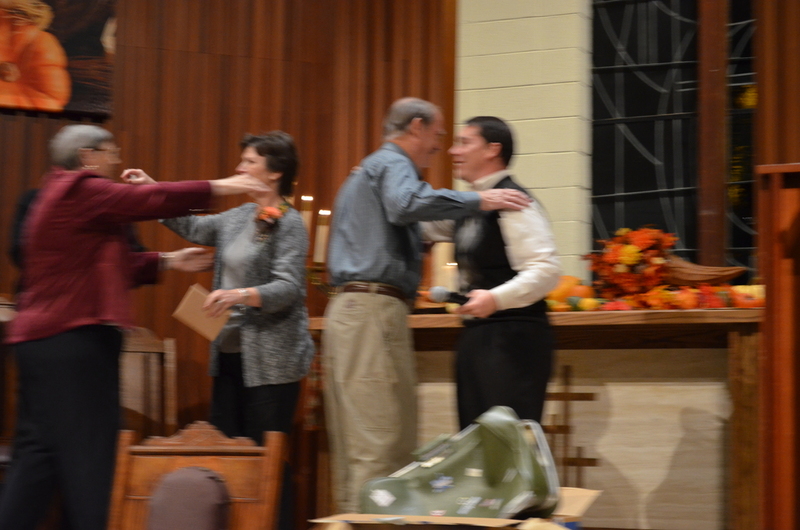 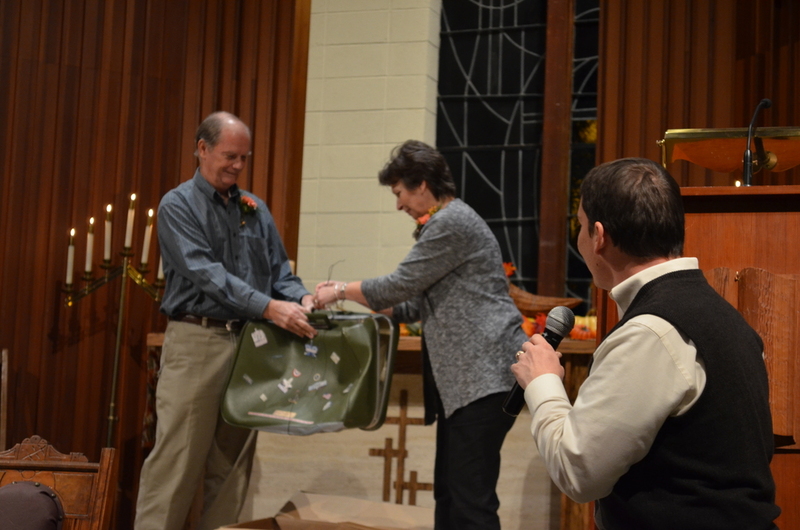 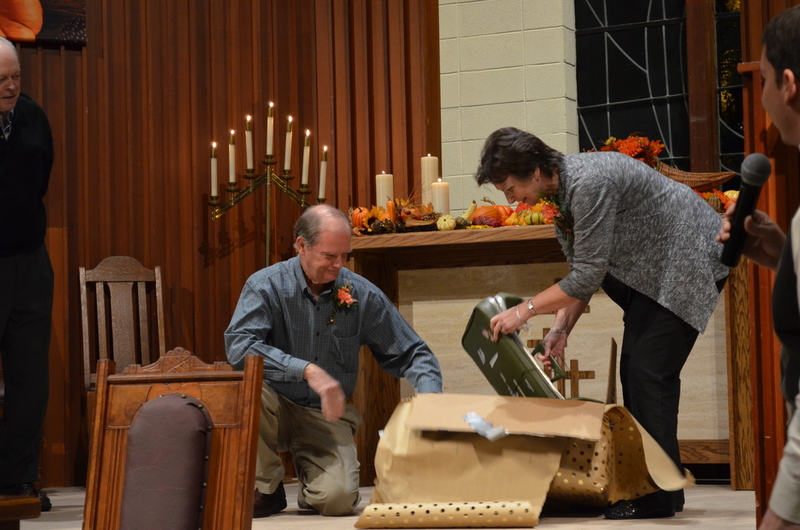 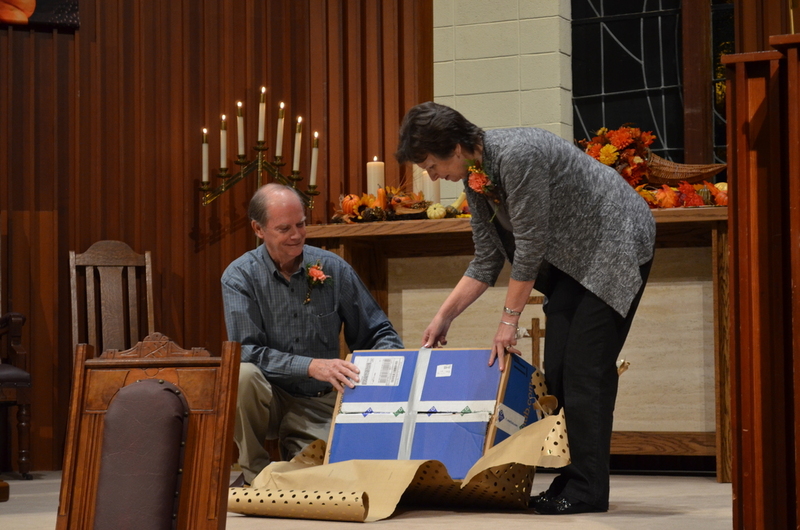 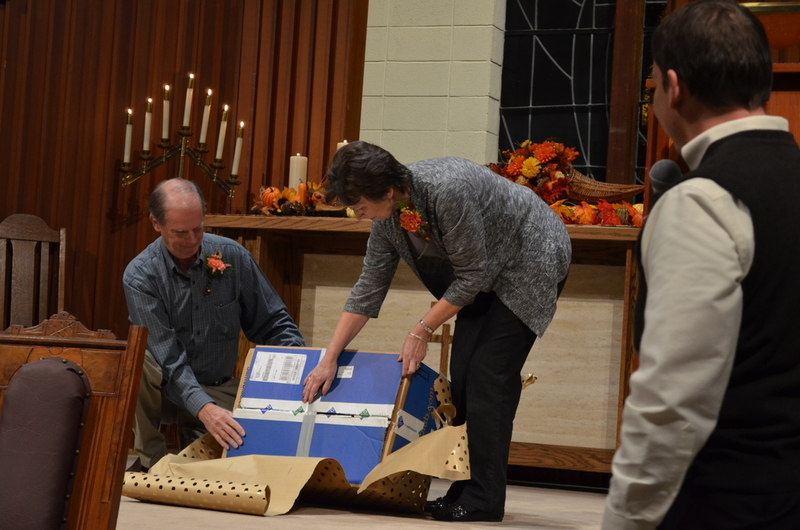 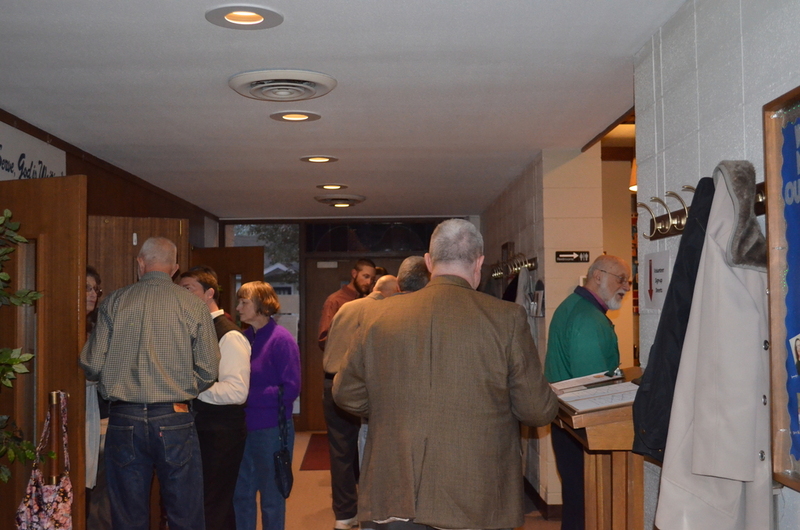 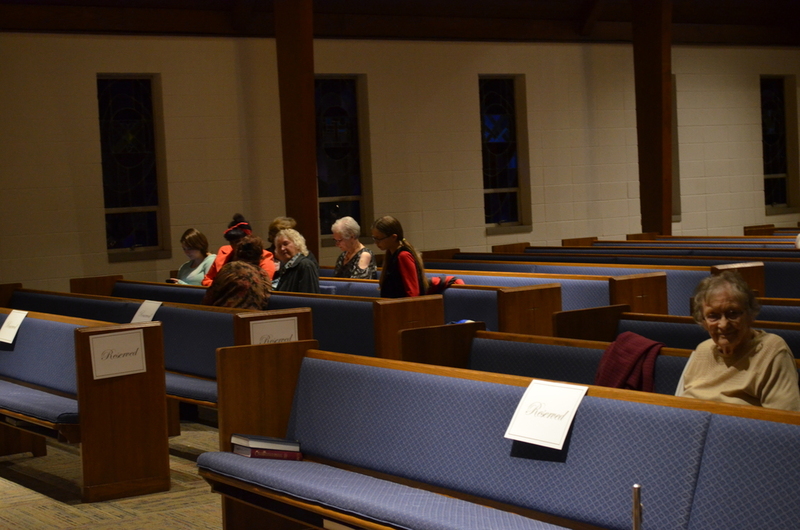 There were musical specials, shared memories from family, friends and church members, and were presented with a gift. 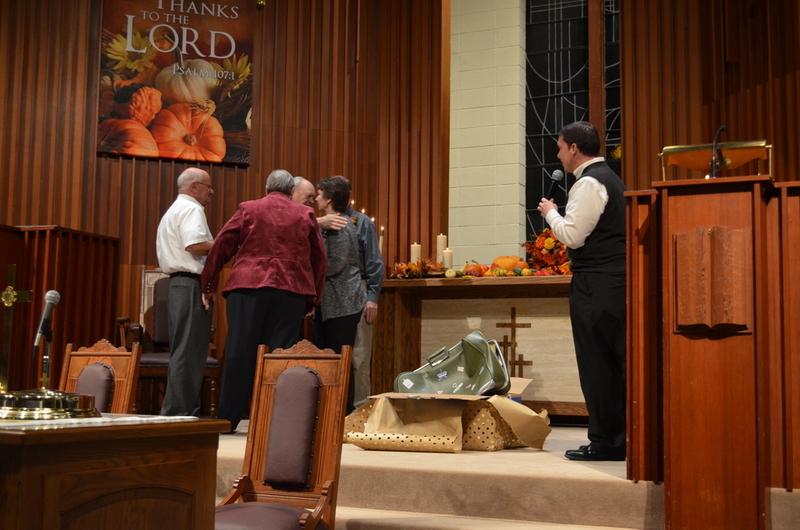 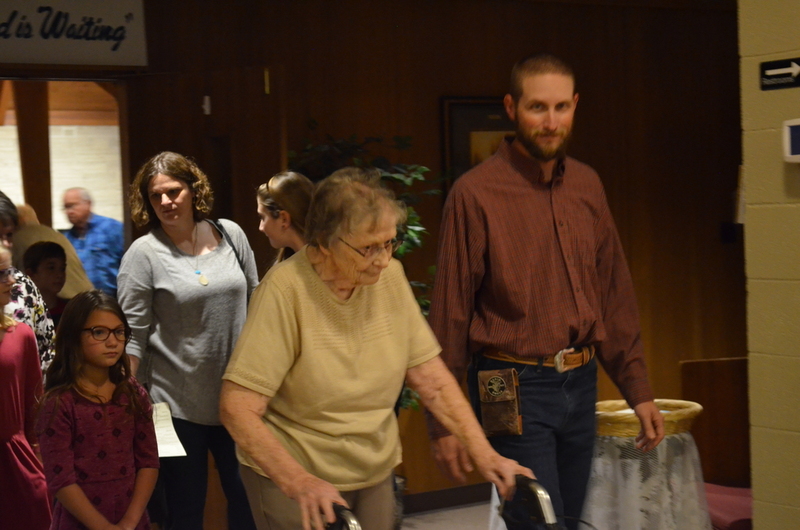 A Thanksgiving meal was served after the service with approximately 100 in attendance.